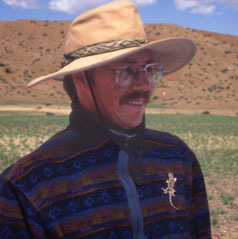 Dr. Thomas Rockwell is a nationally and internationally renowned paleoseismologist and structural geologist who has published over 120 articles in major international journals, coauthored a number of book chapters, published 40 papers in conference proceedings and guidebooks, and coauthored over 300 papers presented at professional meetings. Having served as Geology Group Leader for the Southern California Earthquake Center for many years, he is an expert on the tectonics and earthquake hazards of southern California and Baja California, has conducted extensive trenching programs to date earthquakes on faults in the western U.S., South and Central America, the Middle East and Asia, and routinely uses soil stratigraphy and geomorphology combined with various radiometric dating techniques to assess rates of fault activity, determine recency of faulting, and date past earthquakes. In the past decade, he has initiated a number of ground-breaking studies on fault zone architecture and processes in southern California with PhD students Ory Dor and Neta Wechsler, as well as with many MS-level students. New work on fault zone damage, pulverization, and fluid processes has resulted in over a dozen well-cited papers on this topic since 2006. His other research focuses on understanding earthquake occurrence in time and space. Current projects include the characterization of fault systems behavior by understanding patterns of past recurrence of large earthquakes on faults in southern California, northern Mexico, Panama, Argentina, Portugal, Spain, Turkey, India, and Israel. This work includes resolving information on slip per event, as it relates to understanding the controls on segmentation and rupture termination. Current work on fault zone processes initially focused on damage characteristics, but has shifted to the role of fluids nd the processes that produce the damage. He has also worked extensively on the affects of tectonism on the landscape, and using geomorphology to constrain rates and timing of tectonic events. Included in this latter aspect is detailed mapping and dating of marine terraces along the west coast of North America and assessment of paleosea level during the late Quaternary. Structure, tectonic geomorphology and neotectonics of the Elsinore fault zone between Banner Canyon and the Coyote Mountains, southern California, 231 p.
Neotectonics, alluvial history and soil chronology of the southwestern margin of the Sierra de los Cucapas, Baja California Norte, 363 p.
Geology and structure of the Yuha Desert between Ocotillo, California and Laguna Salada, Baja California, Mexico. Neotectonics and geomorphology of a portion of the San Jacinto fault zone in the Anza seismic gap, southern California, 152 p.
Neotectonics of the Agua Blanca fault, Valle Agua Blanca, Baja California, Mexico, 94 p.
Neotectonics of the western reach of the Agua Blanca fault, Baja California, Mexico, 128 p.
Analysis of historic and pre-historic slip on the Elsinore fault at Glen Iny Marsh, Temescal Valley, southern California. Neotectonics of the northern Elsinore fault, Temescal Valley, southern California, 248 p.
Evidence of perhistoric earthquakes on the Superstition Hills fault, southern California, and a Holocene slip rate of the San Andreas fault at Gorman Creek, southern California, 102 p.
Structure and Quaternary faulting about the eastern terminus of the Agua Blanca fault, Baja California, Mexico, 91 p.
Soil developement along the Elsinore fault, Coyote mountains, California, 146 p.
Analysis of late Holocene faulting at Hog Lake, San jacinto fault zone, southern California, 83 p.
Late Quaternary activity of the San Miguel fault, Northern Baja California, Mexico, 82 p.
Comparison of brittle versus ductile surface deformation in an Alquist-Priolo earthquake fault zone: examples from the Helendale fault, San Bernardino County, California. Characteristics of fault rupture adjacent to distressed structures, Landers, California, 106 p.
Seismotectonics of the Imperial-Mexicali Valley, northern Baja California, Mexico, 54 p.
Neotectonics of the left-lateral Santa Rosa Island fault, western Transverse Ranges, southern California, 97 p.
Tectonic geomorphology and Quaternary history of the Old Woman Springs fault, San Bernardino County, California, 81 p.
The neotectonic history of the Johnson Valley fault, San Bernardino County, California, 68 p.
Rapid clast reddening in Pilot Knob valley, California: Potential for use in relative age dating studies, 334 p.
Paleoseismology of the central Elsinore fault in southern California: results from three trench sites, 94 p.
A 7000 year record of paleoearthquakes on the central Garlock fault, near El Paso peaks, California, 90 p.
Three-dimensional paleoseismic investigation of the South Break of the Coyote Creek fault, southern California, p.
Late Quaternary uplift gradient along the Sierra Madre-Cucamonga fault zone, central Transverse Ranges, southern California: evidence from alluvial fan and soil morphology, 131 p.
Chronology, morphology, and deformation of the marine terraces on San Clemente Island, California, 153 p.
A high-resolution paleoseismic study in the southern San Jacinto fault zone, Imperial County, California, p.
Late Quaternary rupture history of the southern segment of the Lenwood fault, Mojave Desert, California, 72 p.
Structure and neotectonics of the Superstition Mountain fault, Imperial County, California, 199 p.
Characterization of the long-term behavior of the Imperial and Brawley faults, Imperial Valley, California, 136 p.
Structural, Textural, and geochemical analyses of fault damage zones: Clark strand, San Jacinto fault zone, southern California, 83 p.
Testing the application and precision of optically stimulated luminescence on dating lacustrine shorelines in the Imperial Valley, southern California, 91 p.
Geophysical imaging of the San Andreas fault damage near Little Rock, California, 66 p.
Ferrater, M., R. Pallàs, A. Echeverria, M. Ortuño, S. Baize, E. J. Rhodes, R. Arrowsmith, A. Medialdea, J. J. Martínez-Díaz, E. Masana, T. K. Rockwell, H. Perea, E. García-Meléndez, W. D. Sharp, 20-16 in review, Slip rate estimation of a slow-moving fault by combining paleoseismological 3D trenching and morphotectonic analysis: the strike-slip Alhama de Murcia fault (SE Iberian Peninsula). Submitted to Quaternary International, March, 2016. Salisbury, J.B., T.K. Rockwell, and M. Buga, 2016 in review, The 21 April 1918 Mw6.9 surface rupture of the northern Clark strand of the central San Jacinto fault, California. Submitted to Bulletin of the Seismological Society of America, January, 2016. Meigs, A. J., Schultz-Fellenz*, E. S., Rockwell, T., Ragona*, D., Costa, C. and Ahumada*, E., 2012 in review, Limits to paleoseismic event detection from fold growth strata. Submitted to Bulletin of the Seismological Society of America, resubmitted August, 2013. Rockwell, T.K., Ragona*, D.E., Meigs, A., Owen, L., Costa, C., and Emilio, 2011 in review, Inferring a Thrust Earthquake History from Secondary Faulting. A Long Rupture Record of La Laja Fault, San Juan, Argentina. Submitted to Seismological Society of America Bulletin, March, 2011. Erlandson, J.M., Rockwell, T., Stone, D., Braje, T., and Leftwich, B., 2009 in review, CA-SBA-56: An “Oak Grove” and “Canalino” site on Goleta Lagoon, California. Submitted to a Special Volume on the Channel Islands. Salisbury*, J.B., Rockwell, T.K., Middleton*, T.J., and Hudnut, K.W., 2011 in review, LiDAR and Field Observations of Slip Distribution for the Most Recent Surface Ruptures Along the Central San Jacinto Fault. Submitted to Bulletin of the Seismological Society of America, March 1, 2011, resubmitted September 1, 2011, accepted October 1, 2011. Ben-Zion, Y.,T.K. Rockwell, Z. Shi*, and S. Xu*, 2011 in press, Reversed-polarity secondary deformation structures near fault step-overs, accepted, J. of Applied mechanics, September 1, 2011. Whearty, J.J., T.K. Rockwell, and G.H. Girty, 2016 in press, Incipient pulverization at shallow burial depths along the San Jacinto fault, southern California. Submitted to the special AGU volume “Evolution of Fault Zone Properties and Dynamic Processes during Seismic Rupture” edited by Marion Y. Thomas, Harsha S. Bhat, Thomas M. Mitchell, Accepted July, 2016. Ortuño, M., M. Ferrater, E. Masana, J.J. Martínez-Díaz, R. Pallàs, H. Perea, S. Baize, E. García-Meléndez, T. Rockwell, W.D. Sharp, A. Medialdea, E. Rhodes, P.P. Cunha, R. Sohbati, J.P. Buylaert, A. Murray (2016). Combinación de métodos de datación en cronologías paleosísmicas: el ejemplo de La Hoya (Falla de Alhama de Murcia). Conference paper, Spanish Geological Congress, 4 p.
Gordon, E.M.*, T.K. Rockwell, G.H. Girty, and C. Goetz (2015). Geomorphic analysis of late Quaternary activity of the Earthquake Valley and Hot Springs-San Felipe fault zones, and their role in slip transfer between the northern Elsinore and southern San Jacinto faults. In: Geology of the Coyote Mountains, southern California (R. Wagner, ed. ), San Diego Association of Geologists, Sunbelt Publications, p. 95-108. Teran, O.J. *, J.M. Fletcher, T.K. Rockwell, K.W. Hudnut, M.E. Oskin, R.M. Spelz, S.O. Akciz, 2015, Coseismic rupture fabric in transtensional shear zones. Geosphere, v. 11, no. 3, p. 899-920. doi:10.1130 /GES01078.1. Salisbury, J.B.*, Haddad, D.E. *, Rockwell, T.K., Arrowsmith, J.R., Madugo, C., Zielke, O., and Scharer, K., 2015 in review, Validation of meter-scale surface faulting offset measurements from high-resolution topographic data. Geosphere, v. 11, no. 6, doi: 10.1130/GES01197.1. Gold, P.O. *, Behr, W.M., Rood, D., Sharp, W.D., Rockwell, T.K., Kendrick, K., and Salin, A., 2015 in press, Holocene geologic slip rate for the Banning strand of the southern San Andreas fault, southern California. J. Geophysical Research Solid Earth, v. 120, doi:10.1002/2015JB012004. Haaker, E. C.*, Rockwell, T.K., Kennedy, G.L., Grant-Ludwig, L., Freeman, S.T., Zumbro, J.A., Mueller, K.J., and Edwards, R. L., (2015 in press) Long – Term Uplift of the Southern California Coast Between San Diego and Newport Beach Resolved with New dGPS Survey Data: Testing Blind Thrust Models in the Offshore California Borderland: in Anderson, R. L., and Ferriz, H., Applied Geology in California: Association of Environmental and Engineering Geologists Special Publication 26, p. 679-720. Rockwell, T.K., K.M. Scharer, T.E. Dawson, 2016, Paleoseismology of the San Andreas Fault Zone. in Anderson, R. L., and Ferriz, H., Applied Geology in California: Association of Environmental and Engineering Geologists Special Publication 26, p. 721-756. Fletcher, J.M., O. J. Teran*, T. K. Rockwell, M. Oskin, K. W. Hudnut, K. J. Mueller, R. M. Spelz, S. O. Akciz, E. Masana, G. Faneros, A. Morellan, J. Stock, A. Elliott, P. Gold, J. Liu-Zeng, A. Gonzalez, D. Lynch, A. Hinojosa, J. Gonzalez, 2014, Assembly of a large earthquake from a complex fault system: surface rupture kinematics of the April 4, 2010 El Mayor-Cucapah Mw7.2 earthquake. Geosphere, v. 10, no. 4, p. 797-827. Rockwell, B.G., G.H. Girty, and T.K. Rockwell, 2014, Non-central principal component analysis of geochemical data and clay mineralogy from the San Jacinto fault in southern California: a new method to assess alteration intensity in fault zones, Pure and Applied Geophysics, v 171, p. 2919-2935, doi:10.1007/s00024-014-0851-6. Lindsey, E.O., V.J. Sahakian, Y. Fialko, Y. Bock, S. Barbot, and T.K. Rockwell, 2014, Interseismic strain localization in the San Jacinto fault zone. Pure and Applied Geophysics, v 171, p. 2937-2954, doi:10.1007/s00024-013-0753-z. Bennett, R.A., J.C. Spinler, K. Compton, T.K. Rockwell, and E. Gath, 2014, Global Positioning Satelite constraints on active crustal deformation in central Panamá. Seismo. Res. Lett., v. 85, p. 278-283, doi:10.1785/0220130177. Rockwell, T.K., Ragona*, D.E., Meigs, A., Owen, L., Costa, C., and Ahumada*, E., 2014, Inferring a Thrust Earthquake History from Secondary Faulting. A Long Rupture Record of La Laja Fault, San Juan, Argentina. Seismological Society of America Bulletin, First published online on December 17, 2013, doi:10.1785/0120110080. Scharer, K.M., Salisbury, J.B., Arrowsmith, J.R., and Rockwell, T.K., 2014, Southern San Andreas Fault Evaluation field activity: Approaches to measuring small geomorphic offsets – challenges and recommendations for active fault studies, accepted, Seismological Research Letters, v. 85, p. 68-76, doi:10.1785/0220130108. Blisnuik, K., M. Oskin, A-S. Mériaux, T. Rockwell, R. Finkel, and F. J. Ryerson, 2013, Stable, Rapid Rate of Slip Since Inception of the San Jacinto Fault, California, Geophys. Res. Lttrs. , v. 40, 4209–4213, doi:10.1002/grl.50819. Rempe*, M., T. Mitchell, J. Renner, S. Nippress, Y. Ben-Zion, and T. Rockwell, 2013 in press, Damage and seismic velocity structure of pulverized rocks near the San Andreas Fault. J. Geophysical Research, v. 118, doi:10.1002/jgrb.50184, 2013. Marliyani*, G.I., Rockwell, T.K., Onderdonk, N. and McGill, S., 2013, Straightening of the northern San Jacinto fault, California as seen in the fault structure evolution of the San Jacinto Valley step-over. Bulletin of the Seismological Society of America, v. 103, no. 3, p. 2047-2061. doi: 10.1785/0120120232. Rockwell, T.K. and Klinger, Y., 2013, Surface rupture and slip distribution of the 1940 Imperial Valley earthquake, Imperial Fault, southern California: Implications for rupture segmentation and dynamics. Bulletin of the Seismological Society of America, Vol. 103, No. 2A, pp. 629-640, April 2013, doi: 10.1785/0120120192. Morton*, N., Girty, G.H., and Rockwell, T.K., 2012, Fault zone architecture of the San Jacinto fault zone in Horse Canyon, southern California: a model for focused post-seismic fluid flow and heat transfer in the shallow crust. Earth and Planetary Science Letters, v. 329-330, p. 71-83, doi:10.1016/j.epsl.2012.02.013. Salisbury*, J.B., Rockwell, T.K., Middleton*, T.J., and Hudnut, K.W., 2012, LiDAR and Field Observations of Slip Distribution for the Most Recent Surface Ruptures Along the Central San Jacinto Fault. Bulletin of the Seismological Society of America, v. 102, no. 2, p. 598-619. doi: 10.1785/0120110068. Ben-Zion, Y., T. K. Rockwell, Z. Shi*, and S. Xu*, 2012, Reversed-polarity secondary deformation structures near fault step-overs, J. of Applied mechanics, DOI: 10.1115/1.4006154. Wechsler*, N., Allen*, E.E., Rockwell, T.K., Girty, G., Chester, J., and Ben-Zion, Y., 2011 in press, Characterization of pulverized granitoids in a shallow core along the San Andreas fault, Little Rock, CA. Submitted to Geophysical Journal International, November, 2010. Resubmitted, March, 2011, accepted April, 2011. Salamon, A., Rockwell, T., Guidoboni, E., and Comastri, A., 2011 in press, A critical evaluation of tsunami records reported for the Levant Coast from the second millennium BC to the present. Accepted, Israel Journal of Earth Science, April, 2010, resubmitted October, 2010, accepted January, 2011. Rockwell, Thomas, 2011, The North Anatolian Fault. Peter T. Bobrowsky (ed. ), Encyclopedia of Natural Hazards, Chapter 255, DOI 10.1007/978-1-4020-4399-4, Springer Science+Business Media B.V. 2011. Fletcher, K.E.K., Rockwell, T.K., and Sharp, W.D., 2011, Late Quaternary slip rate of the southern Elsinore fault, southern California: Dating offset landforms via 230TH/U on pedogenic carbonate. J. Geophysical Research, 116, F02006, doi:10.1029/2010JF001701. Rockwell, T., Gath, E., Gonzalez, T., Madden*, C., Verdugo*, D., Lippincott*, C., Dawson, T., Owen, L., Fuchs, M., Cadena, A., Williams, P., 2010, Neotectonics and Paleoseismology of the Limón and Pedro Miguel Faults in Panamá: Earthquake Hazard to the Panamá Canal. Bulletin Seismological Society of America, Vol. 100, No. 6, p. 3097-3129 , December 2010, doi: 10.1785/0120090342. Rockwell T. K., R. A. Bennett, E. Gath, and P. Franceschi, 2010, Unhinging an indenter: A new tectonic model for the internal deformation of Panama, Tectonics, 29, TC4027, doi:10.1029/2009TC002571. Blisniuk*, K., Rockwell, T., Owen, L., Oskin, M., Lippincott*, C., Caffee, M., and Dortch*, J., 2010, Late Quaternary slip rate gradient defined using high-resolution topography and 10Be dating of offset landforms on the southern San Jacinto Fault zone, California: J. Geophysical Research v. 115, B08401, doi:10.1029/2009JB006346, 2010. Wechsler*, N., T. Rockwell, and Y. Ben-Zion, 2009, Analysis of rock damage asymmetry from geomorphic signals along the trifurcation area of the San Jacinto Fault, Applied Geomorphology, v. 113, p. 82-96. doi:10.1016/j.geomorph.2009.06.007 . Mueller, K., Kier*, G., Rockwell, T. and Jones, C. 2009, Quaternary Rift-Flank Uplift of the Peninsular Ranges in Baja and Southern California by Removal of Mantle Lithosphere. Tectonics, v. 28, 17 p. doi:10.1029/207TC002227. Kaneda, H. and Rockwell, T.K., 2009, Triggered and primary surface ruptures along the Camp Rock fault, eastern California shear zone. Bulletin of the Seismological Society of America, v. 99, No. 5, p. 2704-2720. Rockwell, T., Sisk*, M., Girty, G., Dor*, O., Wechsler* N., and Ben-Zion, Y., 2009, Chemical and Physical Characteristics of Pulverized Tejon Lookout Granite Adjacent to the San Andreas and Garlock Faults: Implications for Earthquake Physics, Pure and Applied Geophysics, v. 166, DOI 10.1007/s00024-009-0514-1. Dor*, Ory, Judith S. Chester, Yehuda Ben-Zion, Jim N. Brune, Thomas K. Rockwell, 2009, Characterization of damage in sandstones along the Mojave section of the San Andreas Fault: implications for the shallow extent of damage generation. Pure and Applied Geophysics, v. 166, DOI 10.1007/s00024-009-0516-z. Dor*, O., Yildirim*, C., Rockwell, T.K., Ben-Zion, Y., Emre, O., Sisk*, M., and Duman, T.Y., 2008, Geological and geomorphologic asymmetry across the rupture zones of the 1943 and 1944 earthquakes on the North Anatolian fault: possible signals for preferred earthquake propagation direction. Geophysical Journal International, doi: 10.1111/j.1365-246X.2008.03709.x. Neimi, N.A., Oskin, M., and Rockwell, T.K., 2008, The Southern California Earthquake Center geological vertical motion database. Geochem. Geophys. Geosyst., 9, Q07010, doi:10.1029/2008GC002017. Salamon, A., Rockwell, T., Ward, S. N., Guidoboni, E., and Comastri, A., 2007, Tsunami hazard evaluation of the eastern Mediterranean: Historical analysis and selected modeling. Bulletin of the Seismological Society of America, v. 97, no. 3, 20 p. doi:10.1785/D120060147. Rockwell, T.K. and Ben-Zion, Y., 2007, High localization of primary slip zones in large earthquakes from paleoseismic trenches: Observations and implications for earthquake physics. Journal of Geophysical Research, v. 112, B10304-10313. doi:10.1029/206JB004764, 2007. Dor* O., Rockwell, T.K. and Ben-Zion, Y. 2006. Geologic observations of damage asymmetry in the structure of the San Jacinto, San Andreas and Punchbowl faults in southern California: A possible indicator for preferred rupture propagation direction. Pure and Applied Geophysics, v. 163, DOI 10.1007/s00024-005-0023-9, p. 1-48. Kumar*, S., Wesnousky, S. G., Rockwell, T. K., Briggs*, R. W., Thakur, V. C., and R. Jayangondaperumal , 2006, Paleoseismic evidence of great surface-rupture earthquakes along the Indian Himalaya. Journal of Geophysical Research, v. 111, BO3304, doc. 10.1029/2004JB003309, 19 p.
Dor*, O., Ben-Zion, Y., Rockwell, T. and Brune. J., 2006, Pulverized Rocks in the Mojave section of the San Andreas Fault Zone, Earth and Planetary Science Letters, v. 245, p. 642-654. Meltzner*, A.J., Rockwell, T.K., and Owen, L.A., 2006, Recent and long-term behavior of the Brawley fault zone, Imperial Valley, California: An escalation in slip rate. Bulletin of the Seismological Society of America, v. 96, no. 6, p. 2304-2328. Ragona*, D., Minster, B., Rockwell, T., and Jussila, J., 2006, Field Imaging Spectroscopy: A new method to assist the description, interpretation and archiving of paleoseismological information from faulted exposures. Journal of Geophysical Research, v. 111, B10309, doi:10.1029/2006JB004267, p B10,309- B10,319. Marco, S., Rockwell, T.K., Heimann, A., and Frieslander, U., 2005, Late Holocene activity of the Dead Sea Transform revealed in 3D paleoseismic trenches on the Jordan Gorge segment: Earth and Planetary Science Letters, v. 234/1-2, p. 189-205. Ferry*, Matthieu, Mustapha Meghraoui, Jean-Francois Girad, Thomas K. Rockwell, Azgur Kozaci, Serdar Akyuz, and Aykut Barka, 2004, Ground-penetrating radar investigations along the North Anatolian fault near Izmit, Turkey: Constraints on the right-lateral movement and slip history: Geology, v. 32, no. 1, p. 85-88. Meltzner*, A.J. and Rockwell, T.K., 2004, The Tejon Pass earthquake of 22 October 1916: an M5.6 event on the Lockwood Valley and San Andreas faults, southern California: Bulletin of the Seismological Society of America, v. 94, no. 4, p. 1293-1304. Dawson*, T.E., McGill, S.F., and Rockwell, T.K., 2003, Irregular recurrence of paleosearthquakes along the central Garlock fault near El Paso peaks, California: Journal of Geophysical Research, v. 108, no. B7, p. 2356, doi: 10,1029/2001JB001744. Klinger, Y., Sieh, K., Altunel, E., Akoglu, A., Barka, A., Dawson*, T., Gonzalez, T., Meltzner*, A., and Rockwell, T., 2003, Paleoseismic evidence of characteristic slip on the western segment of the North Anatolian fault, Turkey: Bulletin of the Seismological Society of America, v. 93, no. 6, p. 2317-2332. Helms*, John G.,. McGill, Sally, F, and. Rockwell, Thomas K, 2003, Calibrated, late Quaternary age indices using clast rubification and soil development on alluvial surfaces in Pilot Knob Valley, Mojave Desert, southeastern California: Quaternary Research, v. 60, no.3, p. 377-393. Rockwell, T.K., Lindvall, S., Dawson*, T., Langridge, R., and Lettis, W., 2002, Lateral Offsets on Surveyed Cultural Features Resulting From the 1999 Izmit and Duzce Earthquakes, Turkey: Bulletin of the Seismological Society of America, v. 92, no. 1, p. 79-94. Langridge, R.M., Barka, A.A., Stenner, H.D., Hartleb*, R., Rockwell, T.K., and Fumal, T.E., 2002, Geometry, slip distribution and kinematics of surface rupture on the Sakarya fault segment during the August 17, 1999 Izmit, Turkey, earthquake: Bulletin of the Seismological Society of America, v. 92, no. 1, p. 107-125. Hartleb*, R. D., Dolan, J. F., Akyuz, S., Dawson*, T. E., Tucker*, A. Z., Yerli, B., Rockwell, T. K., Toraman, E., Cakir*, Z., Dikbas*, A., Altunel, E., 2002, Surface rupture and slip distribution along the Karadere segment of the 17-August-1999 Izmit, Turkey, earthquake: Bulletin of the Seismological Society of America, Special Issue on the 1999 Izmit and Duzce,Turkey, Earthquakes, N. Toksoz (ed. )., v. 92, no. 1, p. 67-78. Muhs, D.R., Kennedy, G.L., and Rockwell, T.K., 2002, The last interglacial period on the Pacific Coast of North America: Timing and paleoclimate, Geological Society of America Bulletin, v. 114, no. 5, p. 569-592. Barka, A., Akyuz, H.S., Altunel, E., Sunal, G., Cakir*, Z., Dikbas*, A., Yerli*, B., Armijo, R., Meyer, B., Chabalier, J.B., Rockwell, T., Dolan, J.R., Hartlieb*, R., Dawson*, T., Christofferson*, S., Tucker*, A., Fumal, T., Langridge, R., Stenner, H., Lettis, W., Bachhuber, J., and Page, W., 2002, The surface rupture and slip distribution of the 17 August 1999 Izmit earthquake (M7.4), North Anatolian fault: Bulletin of the Seismological Society of America, Special Issue on the 1999 Izmit and Duzce, Turkey, Earthquakes, N. Toksoz (ed. )., v. 92, no. 1, p. 43-60. Treiman, J.A., Kendrick, K.A., Bryant, W.A., Rockwell, T.K., and McGill, S.F., 2002, Primary surface rupture associated with the Mw7.1 16 October, 1999 Hector Mine earthquake, San Bernardino County, California. Bulletin of the Seismological Society of America, V. 92, No. 4, p. 1171-1191. Lindvall, S., Rockwell, T., Dawson*, T., Helms*, J., and Weaver-Bowman, K., 2002, Evidence for two surface ruptures in the past 500 years on the San Andreas fault at Frazier Mountain, California: Bulletin of the Seismological Society of America, v. 92, no. 7, p. 2689-2703. Grant L. B. and Rockwell, T. K., 2002, A northward propagating earthquake sequence in coastal southern California? : Seismological Research Letters, v. 73, no. 4, p. 461-469. Rockwell, T., A. Barka,, T. Dawson*, K. Thorup*, and S. Akyuz, 2001, Paleoseismology of the Gazikoy-Saros segment of the North Anatolia fault, northwestern Turkey: Comparison of the historical and paleoseismic records, implications of regional seismic hazard, and models of earthquake recurrence: Journal of Seismology, V. 5, No. 3, p. 433-448. Wesnousky, S.G., Seeber, N., Rockwell, T.K., Thakur, V., Briggs*, R., Kumar*, S., and Ragona*, D., 2001, Eight days in Buhj: Field report bearing on the genesis of the January 26, 2001 Republic Day earthquake of India: Seismological Research Letters, v. 72, no. 5, p. 514-524. Dolan, J.F. and Rockwell, T.K., 2001, Paleoseismologic evidence for a very large (Mw>7), post-1660 A.D. surface rupture on the eastern San Cayetano fault, Ventura County, California: Was this the elusive source of the damaging December 21, 1812 earthquake? Bulletin of the Seismological Society of America, v. 91, no. 6, p. 1417-1432. Kumar*, S., Wesnousky, S.G., Rockwell, T.K., Ragona*, D., Thakur, V.C., and Sietz, G., 2001, Earthquake recurrence and rupture dynamics of Himalayan frontal thrust, India: Science, v. 294, p. 2328-2331. Oskin*, M., Sieh, K., Rockwell, T., Guptill, P., Miller, G., Curtis, M., Payne, M., and McArdle, S., 2000, Active parasitic folds on the Elysian Park anticline: Implications for seismic hazard in central Los Angeles, California: Geological Society of America Bulletin, v. 112, no. 5, p. 693-707. Rockwell, T.K., 2000, Use of soil geomorphology in fault studies: in Quaternary Geochronology: Methods and Applications, J.S. Noller, J.M. Sowers, and W.R. Lettis, eds, AGU Reference Shelf 4, American Geophysical Union, Washington D.C., p. 273-292. Rockwell, T.K., Lindvall, S., Herzberg*, M., Murbach*, D., Dawson*, T., and Berger, G., 2000, Paleoseismology of the Johnson Valley, Kickapoo and Homestead Valley faults of the Eastern California Shear Zone: Bulletin of the Seismological Society of America, v. 90, No. 5, p. 1200-1236. Dolan, J., Sieh, K., and Rockwell, T., 2000, Late Quaternary activity and seismic potential of the Santa Monica fault system, Los Angeles, California: Geological Society of America Bulletin, v. 112, no. 10, p. 1559-1581. Barka, A., Akyuz, S., Altunel, E., Sunal, G., Cakir*, Z., Dikbas*, A., Yerli*, B., Rockwell, T., Dolan, J., Hartleb*, R., Dawson*, T., Fumal, T., Langridge, R., Stenner, H., Christofferson*, S., Tucker*, A., Armijo, R., Meyer, B., Chabalier, J.B., Lettis, W., Page, W., and Bachhuber, J., 2000, The August 17, 1999 Izmit earthquake, M=7.4, eastern Marmara region, Turkey: Study of surface rupture and slip distribution: in The 1999 Izmit and Duzce Earthquakes: Preliminary Results, A. Barka, O. Kozaci, S. Akyuz, and E. Altunel, eds., Istanbul Technical University Special Publication, p. 15-30. Barka, A., Rockwell, T., and Reilinger, R., 2000, Kinematics of the Marmara Sea ridges: in The 1999 Izmit and Duzce Earthquakes: Preliminary Results, A. Barka, O. Kozaci, S. Akyuz, and E. Altunel, eds., Istanbul Technical University Special Publication, p. 317-327. Dolan, James F., Donovan Stevens, and Thomas K. Rockwell, 2000, Paleoseismologic evidence for an early to mid-Holocene age of the most recent surface rupture on the Hollywood fault, Los Angeles, California: Bull Seismological Society America, v. 90. P. 334-344. Murbach*, D., Rockwell, T.K., and Bray, J.D., 1999, The relationship of foundation deformation to surface rupture and near-surface faulting resulting from the 1992 Landers earthquake: Earthquake Spectra, v. 15, no. 1, p. 121-144. Vaughan, P.R., Thorup*, K.M., and Rockwell, T.K., 1999, Paleoseismology of the Elsinore fault at Agua Tibia Mountain, southern California: Bulletin Seismological Society of America, v. 89, no. 6, p. 1447-1457. McGill, Sally and Rockwell, Tom, 1998, Ages of late Holocene earthquakes on the central Garlock fault near El Paso Peaks, California: Journal of Geophysical Research, v. 103, no. B4, p 7265-7279. Keller, E. A., Zepeda*, R. L., Rockwell, T. K., Ku, T. L., and Dinklage*, W.S., 1998, Active tectonics at Wheeler Ridge, southern San Joaquin Valley, California: Geological Society of America Bulletin, v. 110, no. 3, p. 298-310. Ellenblum, R., Marco, S., Agnon, A., Rockwell, T. and Boaz, A., 1998, A crusader castle torn apart by the earthquake of dawn, 20 May, 1202: Geology, v. 26, no. 4, p. 303-306. Rockwell, T.K., 1998, Use of soil geomorphology in fault studies: in J.S. Noller, J.M. Sowers, and W.R. Lettis, eds., Dating of Earthquakes: Review of Quaternary Geochronology and its Application in Paleoseismology: NUREG series publication CR-5562, U.S. Nuclear Regulatory Commission, p. 2.437-2.466. Walls*, C., Rockwell, T., Mueller, K., Bock, Y., Williams, S., Pfanner*, J., Dolan, J., and Feng, P., 1998, Escape tectonics in the Los Angeles metropolitan region and implications for seismic risk: Nature, v. 394, p. 356-360. Rubin, C.M., Lindvall, S.C., and Rockwell, T.K., 1998, Evidence for large earthquakes in metropolitan Los Angeles: Science, v. 281, p. 398-402. Grant, L.B., Waggoner, J.T., Rockwell, T.K., and von Stein*, C., 1997, Paleoseismicity of the north branch of the Newport-Inglewood fault in Huntington Beach, California: Bulletin of the Seismological Society of America, v. 87, pp. 277-293. Dolan, J. F., Sieh, K., Guptill, P., Miller, G., Rockwell, T.K., and Smirnoff, T., 1997, Active tectonics, paleoseismology, and seismic hazards of the Hollywood fault, northern Los Angeles basin, California: Geological Society of America Bulletin, v. 109, no. 12, pp. 1595-1616. Gurrola*, Larry D. and Rockwell, Thomas K., 1996, Timing and slip for prehistoric earthquakes on the Superstition Mountain fault, Imperial Valley, southern California: Journal of Geophysical Research, v. 101, B3, p. 5977-5985. Sturm*, Richard, Stow, Douglas, and Rockwell, Thomas, 1996, Mapping of Pleistocene-age shoreline deposits in the seismically-active Salton Trough using thermal infared multispectral scanner (TIMS) data: International Journal of Remote Sensing, v. 17, no. 3, p. 553-575. Thomas*, Andrew P., and Rockwell, Thomas K., 1996, A 300-550 year history of slip on the Imperial fault near the U.S.-Mexico Border: Missing slip at the Imperial fault bottleneck: accepted, Journal of Geophysical Research, v. 101, B3, p. 5987-5997. McNeilan, T., Rockwell, T.K., and Resnick, G., 1996, Sense and rate of Holocene slip, Palos Verdes fault, southern California: Journal of Geophysical Research, v. 101, B4, p. 8317-8334. Weldon, R.J., McCalpin, J.P., and Rockwell, T.K., 1996, Paleoseismology in strike-slip tectonic environments: Paleoseismology (J. McCalpin, ed), Academic Press, San Diego, p. 271-330. Hirabayashi*, C. Kenji, Rockwell, Thomas K., and Wesnousky, Steve, Sterling*, Mark, and Suarez, Francisco, 1996, Late Quaternary activity of the San Miguel fault, northern Baja California, Mexico: Bulletin of the Seismological Society of America, v. 86, no. 6, pp. 1770-1183. Magistrale, H. and Rockwell, T., 1996, The central and southern Elsinore fault zone, southern California: Bulletin of the Seismological Society of America, v. 86, no. 6, pp. 1793-1803. Mueller*, Karl J. and Rockwell, Thomas K., 1995, Late Quaternary activity of the Laguna Salada fault in northern Baja California, Mexico: Geological Society of America Bulletin, v. 107, no. 1, pp. 8-18. Dolan, James F., Sieh, Kerry , Rockwell, Thomas K., Yeats, Robert S., Shaw, John, Suppe, John, Huftile, Gary, J. and Gath, Eldon M., 1995, Prospects for larger or more frequent earthquakes in the Los Angeles metropolitan region: Science, v. 267, pp. 199-205. Stephenson, W.J., Rockwell, T.K., Odum, J.K., Shedlock, K.M., and Okaya, D.A., 1995, Seismic reflection and geomorphic characterization of the onshore Palos Verdes fault zone, Los Angeles, California: Seismological Society of America Bulletin, v. 85, no. 3, pp. 943-950. Reheis, Marith C., Goodmacher*, Jonathan C., Harden, Jennifer W., McFadden, Leslie D., Rockwell, Thomas K., Shroba, Ralph R., Sowers, Janet M., and Taylor, Emily M., 1995, Quaternary soils and dust deposition in southern Nevada and California: Geological Society of America Bulletin, v. 107, no. 9, p. 1003-1022. Lindvall, S. and Rockwell, T.K., 1995, Holocene activity of the Rose Canyon fault, San Diego, California: Journal of Geophysical Research, v. 100, no. B12, p. 24121-24132. Muhs, Daniel R., Kennedy, George L., and Rockwell, Thomas K., 1994, Uranium-series ages of marine terrace corals from the Pacific coast of North America and implications for last-interglacial sea level history: Quaternary Research, v. 42, no. 1, pp. 72-87. Rockwell, T., Vaughan, P., Bickner, F., and Hanson, K.L., 1994, Correlation and age estimates of soils developed in marine terraces across the San Simeon fault zone, central California: in Alterman, I.B., McMullen, R.B., Cluff, L.S., and Slemmons, D.B., eds., Seismotectonics of the central California Coast Ranges, Boulder, CO, Geological Society of America Special Paper 292,p. 151-166. Muhs, Daniel R., Rockwell, Thomas K., and Kennedy, George L., 1992, Late Quaternary uplift rates of marine terraces on the Pacific coast of North America, southern Oregon to Baja California Sur: Quaternary International, vols. 7/8, pp. 81-93. Kern, J.P. and Rockwell, T.K., 1992, Chronology and deformation of Quaternary marine shorelines, San Diego County, California: in Quaternary Coasts of the United States: Marine and Lacustrine Systems: Society of Economic Paleotologists and Mineralogists Special Publication.No. 48, p. 377-382. Rockwell, T.K., Nolan, Jeff, Johnson, Donald L., and Patterson, Roy, 1992, Ages and deformation of marine terraces between Point Conception and Gaviota, western Transverse Ranges, California: in Quaternary Coasts of the United States: Marine and Lacustrine Systems: Society of Economic Paleotologists and Mineralogists Special Publication.No. 48, p. 333-341. Kennedy, George L., Wehmiller, John F., and Rockwell, Thomas K., 1992 Paleoecology and paleozoogeography of late Pleistocene marine terrace faunas of southwestern Santa Barbara County, California: in Quaternary Coasts of the United States: Marine and Lacustrine Systems: Society of Economic Paleotologists and Mineralogists Special Publication.No. 48, p. 343-361. Mueller*, K.J., and Rockwell, T.K., l991, Late Quaternary structural evolution of the western margin of the Sierra de los Cucapas, Baja California, Mexico: American Association of Petroleum Geologists Memoir 47, ch. 14, p. 249-260. Merifield, P.M., Rockwell, T.K., and Loughman*, C.C., 1991, A slip rate based on trenching studies, San Jacinto fault zone near Anza, California: Engineering Geology and Geotechnical Engineering, no. 27 (James McCalpin, ed. ), pp. 28-1 – 28-21. Yeats, R.S. and , 1991, Quaternary geology of the Ventura and Los Angeles basins, California: in Quaternary Nonglacial Geology: Conterminous U.S.: Geological Society of America, DNAG v. K-2, p. 185-189. Rockwell, T.K., Loughman*, C., and Merifield, P., 1990, Late Quaternary rate of slip along the San Jacinto fault zone near Anza, southern California: Journal of Geophysical Research, v. 95, p. 8593-8605. Johnson, D.L., Keller, E.A., Rockwell, T.K., l990, Dynamic Pedogenesis: New views on some key soil concepts, and a model for interpreting Quaternary soils: Quaternary Research, v. 33, p. 306-319. Hudnut*, K.W., Seeber, L., and Rockwell, T., 1989, Slip on the Elmore Ranch fault during the past 330 years and its relation to slip on the Superstition Hills fault: Bulletin of the Seismological Society of America, v. 79, no.2, p. 330-341. Klinger*, R.E. and Rockwell, T.K., 1989, Flexural-slip folding along the eastern Elmore Ranch fault in the Superstition Hills earthquake sequence of November 1987: Bulletin of the Seismological Society of America, v. 79, no. 2, p. 297-303. Hudnut*, K., Seeber, L., Rockwell, T.K., Goodmacher*, J., Klinger*, R., Lindvall*, S., and McElwain*, R., 1989, Surface ruptures on cross-faults in the 24 November, 1987 Superstition Hills, California, earthquake sequence: Bulletin of the Seismological Society of America, v. 79, no. 2, p. 282-296. Lindvall*, S.C., Rockwell, T.K., and Hudnut, K.W., 1989, Evidence for prehistoric earthquakes on the Superstition Hills fault from offset geomorphic features: Seismological Society of America Bulletin, v. 79, no. 2, p. 342-361. Anderson, John G., Rockwell, Thomas, and Agnew, Duncan Carr, 1989, Past and possible future earthquakes of significance to the San Diego region: Earthquake Spectra, v. 5, no. 2, p. 299-335. Rockwell, T.K., 1989, Behavior of individual fault segments along the Elsinore-Laguna Salada fault zone, southern California and northern Baja California: Implications for the characteristic earthquake model: U.S. Geological Survey Redbook on Fault Segmentation and the Controls of Rupture Initiation and Termination: U.S. Geological Survey Open File Report 89-315, p. 288-308. Rockwell, T.K., Muhs, D.R., Kennedy, G.L., Wilson*, S. Hatch*, M.E. and Klinger*, R., 1989, Uranium-series ages, faunal correlations and tectonic deformation of marine terraces within the Agua Blanca fault zone at Punta Banda, northern Baja California, Mexico: in P.L. Abbott (ed. ), Geologic Studies in Baja California, Soc. Econ. Paleon. and Min. Book 63, p. 1-16. Rockwell, T.K., 1988, Neotectonics of the San Cayetano fault, Transverse Ranges, California: Geological Society of America Bulletin, v. 100, no. 4, p. 500-513. Rockwell, T.K., Keller, E.A., and Dembroff, G.R., 1988, Quaternary rate of folding of the Ventura Avenue anticline, western Transverse Ranges, southern California: Geological Society of America Bulletin, v. 100, no. 6, p. 850-858. Erlandson, J.M. and Rockwell, T.K., 1987, Radiocarbon reversals and stratigraphic discontinuities: The effects of natural formation processes on coastal California archeological sites: in Natural Formation Processes and the Archeological Record: D.T Nash and M.D. Petraglia (eds), BAR International Series 352, p. 51-73. Rockwell, T.K., Johnson, D.L., Keller, E.A. and Dembroff, G.R., l985, A late Pleistocene-Holocene soil chronosequence in the central Ventura Basin, Southern California, U.S.A.: in K. Richards, R. Arnett, and S. Ellis (eds. ), Geomorphology and Soils, George Allen and Unwin, p. 309-327. Rockwell, T.K. and Keller, E.A., l985, Tectonic geomorphology of alluvial fans and mountain fronts near Ventura, California: in M. Morisawa and J. Hack, (ed. ), Symposia Volume for the l984 Suny- Binghampton Conference on Tectonic Geomorphology: Tectonic Geomorphology: p. 183-208. Keller, E.A. and Rockwell, T.K., l984, Tectonic geomorphology, Quaternary chronology and paleoseismicity: in J. E. Costa (ed.) Developments and Applications of Geomorphology: Springer- Verlag, New York, p. 203-239. Strand, C.L., Rockwell, T.K., and Mueller*, K.J., 1984, An historical and geologic approach to determining the source and magnitude of the February 23, 1892 northern Baja California earthquake: Baja California Symposium, Sherman Library, v. 22, Corona Del Mar, California, p. 37-58. Rockwell, T.K., Keller, E.A. and Clark*, M.N., l984, Chronology and rates of faulting of Ventura River terraces, California: Geological Society of America Bulletin, v. 95, p. 1466-1474. Yeats, R.S., Clark*, M.N., Keller, E.A., and Rockwell, T.K., l981, Active fault hazard in southern California: Ground rupture vs. seismic shaking: Geological Society of America Bulletin, Part 1, Vol. 92, no. 4, pp. 189-196. Fletcher, J., Terran, O., Rockwell, T., 2014, 4D architecture of an oblique rift margin: Surface ruptures of the 1892 and 2010 earthquakes. Friends of the Pleistocene Field Trip Guide Book, February, 2014, 43 p.
Rockwell, T., Bergmann, M., and Kenney, M., 2000, Holocene slip rate of the Elsinore fault in Temecula Valley, Riverside County, California. In Geology and Enology of the Temecula Valley (B. Birnbaum and K. Cato, eds), p. 105-118. Rockwell, Thomas, Henyey, Thomas, and Forrest, Michael, 1997, The Palos Verdes Fault field trip guide: Southern California Faults, Shattered Crust Series, Southern California Earthquake Center, 54 p.
Forrest, M.R., Rockwell, T.K., Grant, L., and Gath, E., 1996, Whittier-Elsinore Newport-Inglewood Faultbook, Southern California Faults, Shattered Crust Series, No. 1, Southern California Earthquake Center, July, 1996. Helms, J., McGill, S., and Rockwell, T., 1995, Development of a relative age rubification index: A preliminary report: in Pace, Allan and others, eds., The Garlock fault and El Paso Mountains Guidebook, South Coast Geological Society, Santa Ana, California, pp. 8-26. McGill, Sally and Rockwell, Tom, 1995, Preliminary constraints on the ages of late Holocene earthquakes on the central Garlock fault, near El Paso peaks: in Pace, Allan and others, eds., The Garlock fault and El Paso Mountains Guidebook, South Coast Geological Society, Santa Ana, California, pp. 1-7. Padgett, Deems C. and Rockwell, Thomas K., 1994, Paleoseismology of the Lenwood fault, San Bernardino County, California: in (D. Murbach, ed.) Mojave Desert: South Coast Geological Society Annual Fieldtrip Guidebook, pp. 222-238. Bryan, K. and Rockwell, T.K., 1994, Recognition of non-brittle fault deformation in trench exposures: An example from the Helendale fault: in (D. Murbach, ed.) Mojave Desert: South Coast Geological Society Annual Fieldtrip Guidebook, pp. 253-262. Herzberg, M. and Rockwell, T., 1994, Timing of past earthquakes on the northern Johnson Valley fault and their relationship to the 1992 rupture: in (D. Murbach, ed.) Mojave Desert: South Coast Geological Society Annual Fieldtrip Guidebook, pp. 388-392. Murbach, D., Rockwell, T.K., and Bray, J. D., 1994, Preliminary observations: Characteristics of the 1992 Landers surface fault rupture adjacent to distressed structures: in (D. Murbach, ed.) Mojave Desert: South Coast Geological Society Annual Fieldtrip Guidebook, pp. 590-598. Rockwell, T.K., Schug, D.L., and Hatch, M.E., 1993, Late Quaternary slip Rates along the Agua Blanca fault, Baja California, Mexico: in (P.L. Abbott, ed.) Geological Investigations of Baja California: South Coast Geological Society, Annual Field Trip Guidebook No. 21, p. 53-92. Hirabayashi, C. Kenji, Rockwell, Thomas K., and Wesnousky, Steve, 1993, Late Quaternary activity of the San Miguel fault, northern Baja California, Mexico: in (P.L. Abbott, ed.) Geological Investigations of Baja California: South Coast Geological Society, Annual Field Trip Guidebook No. 21, p. 93-100. Rockwell, Thomas K., Lindvall, Scott C., Haraden, Colleen C., Hirabayashi, C. Kenji, and Baker, Elizabeth, 1991, Minimum Holocene slip rate for the Rose Canyon fault in San Diego, California: in (Abbott, P.L., ed.) Environmental Perils, San Diego Region: for the Annual Meeting of the Geological Society of America, San Diego Association of Geologists, p. 37-46. Frost, E.G., Baker, E.D., Smilo, Sheldon A., Lindvall, S.C., and Rockwell, Thomas K., 1991, Computer enhanced imaging of neotectonic features exposed within trench faces: Techniques for seeing the unseen being developed on the Rose Canyon fault zone: in (Abbott, P.L., ed.) Environmental Perils, San Diego Region: for the Annual Meeting of the Geological Society of America, San Diego Association of Geologists, p. 47-60. Lindvall, Scott and Rockwell, Tom, 1989, Minimum Holocene slip rate of the San Andreas fault at Gorman Creek, southern California: Friends of the Pleistocene Fieldtrip Guidebook, 1989. Rockwell, Thomas, 1990, Holocene activity of the Elsinore fault in the Coyote Mountains, southern California: in Western Salton Trough Soils and Tectonics, Friends of the Pleistocene Guidebook, p. 30-42. Lamar, D.L. and Rockwell, T.K., l986, An overview of the tectonics of the Elsinore fault zone: in Guidebook and Volume on Neotectonics and Faulting in Southern California (P. Ehlig, ed. ), Cordilleran Section, Geological Society of America, p. 149-158. Millman, D.E. and Rockwell, T.K., l986, Neotectonics of the Elsinore fault in Temescal Valley, California: in Guidebook and Volume on Neotectonics and Faulting in Southern California (P. Ehlig, ed. ), Cordilleran Section, Geological Society of America, p. 159-166. Rockwell, T.K., McElwain, R.S., Millman, D.E. and Lamar, D.L., l986, Recurrent late Holocene faulting on the Glen Ivy North strand of the Elsinore fault at Glen Ivy Marsh: in Guidebook and Volume on Neotectonics and Faulting in Southern California (P. Ehlig, ed. ), Cordilleran Section, Geological Society of America, p. 167-176. Vaughan, Patrick and Rockwell, Thomas, l986, Alluvial stratigraphy and neotectonics of the Elsinore fault zone at Agua Tibia Mountain, southern California: in Guidebook, and Volume on Neotectonics and Faulting in Southern california (P. Ehlig, ed), Cordilleran Section, Geological Society of America, p. 177-192. Rockwell, T.K. and Pinault, C.T., l986, Holocene slip events on the southern Elsinore fault, Coyote Mountains, southern Californai: in Guidebook and Volume on Neotectonics and Faulting in Southern California (P. Ehlig, ed. ), Cordilleran Section, Geological Society of America, p. 193-196. Keller, E.A., Rockwell, T.K., Clark, M.N., Dembroff, G.R., and Johnson, D.L., l982, Tectonic geomorphology of the Ventura, Ojai, and Santa Paula areas, western Transverse Ranges, California: in Neotectonics in Southern California; Guidebook prepared for the 78th annual meeting of the Cordilleran section of the Geological Society of America, Anaheim, California, p. 25-42. Rockwell, T.K. and Dembroff, G.R., l982, Tectonic geomorphology of the Ventura and Ojai areas, western Transverse Ranges, California: in H.R. Level (ed.) Late Cenozoic Tectonics of the Venture-Oak View Area, Ventura County, California: Fieldtrip Guidebook for the National Association of Geology Teachers – Far Western Section, Spring Conference, March 26-28, l982, pp. 15-32. Dembroff, G.R., Johnson, D.L., Keller, E.A., and Rockwell, T.K., l982, The soil geomorphology and neotectoncis of the Ventura River and central Ventura Basin, California: Fieldtrip guidebook of the soil geomorphology tour (division 5-5) held in conjunction with the l982 annual meetings of the American Society of Agronomy, Crop Science Society of America, and Soil Science Society of America, Ahaheim, California, Nov. 28-Dec. 3, l982, 71 p.
Keller, E.A., Johnson, D.L., Rockwell, T.K., Clark, M.N., and Dembroff, G., l981, Quaternary stratigraphy, soil geomorphology, chronology and tectonics of the Ventura, Ojai, and Santa Paula areas, western Transverse Ranges, California, Part I, Friends of the Pleistocene Fieldtrip guidebook, pp. 1-125. Johnson, D.L., Keller, E.A., and Rockwell, T.K., l981, The neotectonics and soil geomorphology of the Ventura River and central Ventura Basin, California, in: R.G. Logan 9ed.) Assoc. Am. Geographers fieldtrip guidebook l981, trip 4, pp. 42-60. Rockwell, T.K. and Sylvester, A.G., l979, Neotectonics of the Salton Trough region, California, in: tectonics of the juncture of the San Andreas system and the Salton Trough, southeastern California, a guidebook for the annual meeting of the Geological Society of America, Nov., l979. Rockwell, T.K., N. Wechsler, K. Okumura, 2013, 4-D rupture histories of major plate boundary faults: A view into long-term fault behavior and fault interaction. 4th International INQUA meeting on Paleoseismology, Active, Tectonics and Archeoseismology, 9-14 October, 2013, Aachen, Germany. Gath, E.M. and Rockwell, T.K., 2009, Coseismic offset of the Camino de Cruces confirms the Pedro Miguel fault as the cause of the AD 1621 Panama Viejo earthquake: in Pérez-Lopez, R., Grützner, C., Lario, J., Reicherter, K, & Silva, P.G. (eds), Archeeoseismology and Palaeoseismology in the Alpine-Himalayan Collisional Zone: 1st INQUA-IGCP-567 International Workshop on Earthquake Archaeology and Palaeoseismology, Baelo Claudia (Cádiz), Spain, Abstracts and Proceedings Volume, p. 32-34. Rockwell, T., Barka, A., Akyuz, S., Dawson, T., Sieh, K., and Gonzalez, T., 2000, The North Anatolia fault around the Marmara Sea, and pre- and post-earthquake research after the August 17, 1999 Koaceli earthquake: in Active Fault Research for the New Millenium, Proceedings of the Hokudan International Symposium and School on Active Faulting, (K. Okumura, K Takada, and H. Goto, eds. ), Letter Press Ltd., Hiroshima, Japan, p. 587-592. Rockwell, T.K., J.A. Dewhurst, C.W. Walls, W.J. Pollard, A. Orgil, G. Faneros, and T.E. Dawson, 2000, High-resolution paleoseismology in southern California: Investigation of segment controls on the rupture history of the southern San Jacinto fault: in Active Fault Research for the New Millenium, Proceedings of the Hokudan International Symposium and School on Active Faulting, (K. Okumura, K Takada, and H. Goto, eds. ), Letter Press Ltd., Hiroshima, Japan, p. 413-419. Marco, S., T. Rockwell, A. Heimann, and A. Agnon, 2000, Historical earthquake deformations revealed by 3D trenching on Dead Sea Transform: in Active Fault Research for the New Millenium, Proceedings of the Hokudan International Symposium and School on Active Faulting, (K. Okumura, K Takada, and H. Goto, eds. ), Letter Press Ltd., Hiroshima, Japan, p. 261-263. Dawson, T.E., T. Rockwell, S. McGill, and N. Black, 2000, A 7000 year record of paleoearthquakes on the central Garlock fault, near El Paso Peaks, California: in Active Fault Research for the New Millenium, Proceedings of the Hokudan International Symposium and School on Active Faulting, (K. Okumura, K Takada, and H. Goto, eds. ), Letter Press Ltd., Hiroshima, Japan, p. 65-68. Upreti, B.N., T. Nakata, Y. Kumahara, H. Yagi, K. Okumura, T.K. Rockwell, N.S. Verdi, and H. Maemoku, 2000, The latest active faulting in southeast Nepal: in Active Fault Research for the New Millenium, Proceedings of the Hokudan International Symposium and School on Active Faulting, (K. Okumura, K Takada, and H. Goto, eds. ), Letter Press Ltd., Hiroshima, Japan, p. 533-536. Rockwell, Thomas, 1996, Active faulting in California: in Abstracts or Essays, 30th International Geological Congress, Workshop of Paleoseismology (Organized by ICL and SSB), Beijing, China, p. 26-33. Rockwell, Thomas, 1995, Active faulting in California, in Active Faulting Studies For Seismic Hazard Assessment (G. Valensise and D. Pantosti, eds. ), Ettore Majorana Centre for Scientific Culture, Isazionale di Geofisica, p. 223-231. Lindvall, S.C. , Thomas K. Rockwell, and C. Eric Lindvall, 1990, The seismic hazard of San Diego revised: New evidence for magnitude 6+ Holocene earthquakes on the Rose Canyon fault zone: Forth U.S. National Conference on Earthquake Engineering, V. 3, (EERI). Rockwell, Thomas, 1987, Recognition of paleoseismic events in strike-slip environments: in Directions in Paleoseismology, U.S. Geological Survey Redbook for Conference XXXIX, Open File Report 87-673, p. 129-135. Rockwell, T., Akciz, S., and Gordon, E., 2013, Paleoseismology of the Aqua Tibia – Earthquake Valley fault, eastern strand of the Elsinore Fault Zone. Seismological Research Letters, v. 84, p.332. Stepancikova P., NyvltD., Hok J., Hartvich F., Rockwell T. (2012): Large pre-historic earthquakes on the Sudetic Marginal Fault in the low-strain intraplate Bohemian Massif (Central Europe). Eos Trans. AGU 2012, Fall Meet. Suppl., Abstract T33A-2637, San Francisco. Large pre-historic earthquakes on the Sudetic Marginal Fault in the low-strain intraplate Bohemian Massif (Central Europe). AGU 2012 Fall meeting, poster. Wechsler, N., T.K. Rockwell, Y. Klinger, A. Agnon, and S. Marco, 2012, How Long Is Long Enough? Estimation of Slip-Rate and Earthquake Recurrence Interval on a Simple Plate-Boundary Fault Using 3D Paleoseismic Trenching, abstract T13D-2647 poster presented at the 2012 Fall meeting, AGU, San Francisco, Calif., 3-7 Dec.
Ben-Zion, Y., T. Rockwell, Z. Shi, and S. Xu 2012, Reversed-polarity secondary deformation structures near fault stepovers, Abstract for a poster presentation at the 2012 SCEC Annual Meeting, Sept. 2012 in Palm Springs, California. Blisniuk, K., K. Scharer, R. Burgmann, W. Sharp, M. Rymer, T. Rockwell, P. Williams 2012, A New slip rate estimate for the San Andreas fault zone in the Coachella Valley at Pushawalla Canyon, California. Abstract for a poster presentation at the 2012 SCEC Annual Meeting, Sept. 2012 in Palm Springs, California. Dolan, J. F., J. H. Shaw, and T. K. Rockwell, 2012, The Ventura Region Special Fault Study Area: Towards an Understanding of the Potential for Large, Multi-Segment Thrust Ruptures in the Transverse Ranges Abstract for a poster presentation at the 2012 SCEC Annual Meeting, Sept. 2012 in Palm Springs, California. Luptowitz, R., S. McGill, N. W. Onderdonk, T. K. Rockwell, N. Wechsler, J. Berg, B. Copeland, and M. Smith, 2012, Paleoseismology of the San Jacinto Fault Zone, Claremont segment, at Mystic Lake, California Abstract for a poster presentation at the 2012 SCEC Annual Meeting, Sept. 2012 in Palm Springs, California. Onderdonk, N. W., S. McGill, T. Rockwell, N. Wechsler, E. Gordon, and E. Haaker , 2012, Extending the paleoseismic record back in time at the Mystic Lake site on the Claremont fault, northern San Jacinto fault zone Abstract for a poster presentation at the 2012 SCEC Annual Meeting, Sept. 2012 in Palm Springs, California. Rockwell, T. K., R. Peters, E. Hemphill-Haley, M. McGann, B. Richmond, B. Jaffe, R. Wilson, and S. Ross, 2012, Western Transverse Ranges Tsunami Project: Do Great Earthquakes Occur on a Linked Western Transverse Ranges Thrust System? Abstract for a poster presentation at the 2012 SCEC Annual Meeting, Sept. 2012 in Palm Springs, California. Salisbury, J. B., J. R. Arrowsmith, T. K. Rockwell, D. E. Haddad, O. Zielke, and C. M. Madugo, 2012, Subjectivity of LiDAR-Based Offset Measurements: Results from a Public Online Survey Abstract for a poster presentation at the 2012 SCEC Annual Meeting, Sept. 2012 in Palm Springs, California. Mitchell, T.M., G.H. Girty, N. Morton, T.K. Rockwell, and J. Renner, 2012, Permeability structure of the San Jacinto fault zone, Horse Canyon, California. Seismological Research Letters, v. 83, no. 2, p. 437. Maroun, M., C.T. Repoggle, T.L. Carrasco, T.A. Colby, G.H. Girty, and T.K. Rockwell, 2012, Speculations on the role of ground shaking in the production of high dilational volumetric strains in saprock adjacent to the Elsinore fault, southern California. Seismological Research Letters, v. 83, no. 2, p. 437. Morton, N., G.H. Girty, and T.K. Rockwell, 2012, The fault zone architecture of the San Jacinto fault, southern California. Seismological Research Letters, v. 83, no. 2, p. 437. Buga, M.T., T.K. Rockwell, and J.B. Salisbury, 2012, Preliminary paleoseismic results from the southern Clark fault, San Jacinto fault zone, southern California: Comparison the Hog Lake paleoseismic record. Seismological Research Letters, v. 83, no. 2, p. 436-437. McGill, S.F., L.A. Owen, E. Kent, T.K. Rockwell, K.J. Kendrick, N. Onderdonk, E. Rhodes, 2012, Slip rate of the northern San Jacinto fault from offset landslides in the San Timiteo Badlands. Seismological Research Letters, v. 83, no. 2, p. 436. Onderdonk, N., S. McGill, and T. Rockwell, 2012, Late Holocene slip rate and slip per event of the northern San Jacinto fault zone. Seismological Research Letters, v. 83, no. 2, p. 436. Blisniuk, K., M.E. Oskin, T. Rockwell, W. Sharp, and K. Fletcher, 2012, Temporally steady but spatially variable middle Pleistocene to Holocene slip rates across the San Jacinto fault zone. Seismological Research Letters, v. 83, no. 2, p. 436. Rockwell, T.K., N. Onderdonk, S.F. McGill, M. Buga, J.B. Salisbury, and A. Pandey, 2012, Summary of paleoseismic observations along the San Jacinto fault. Seismological Research Letters, v. 83, no. 2, p. 435-436. Lindsey, E.O., V.J. Sahakian, Y. Fialko, Y. Bock, and T.K. Rockwell, 2012, Space geodetic investigation of interseismic deformation along te San Jacinto fault: effects of heterogeneous elastic structure and fault geometry. Seismological Research Letters, v. 83, no. 2, p. 434. Wechsler, N.**, T.K. Rockwell, Y. Klinger, 2012, Irregular behavior of the Dead Sea Transform inferred from 3D paleoseismic trenching. Seismological Research Letters, v. 83, no. 2, p. 368. Strane, M.D., M.E. Oskin, F. Khatib, S.C. Lindvall, T.K. Rockwell, K. Blisniuk, and A. Ariondo, 2012, Major earthquakes on a nacent fault zone: Lenwood fault, eastern California. Seismological Research Letters, v. 83, no. 2, p. 385. Buga, M., Rockwell, T., Salisbury, J.B., 2011 Preliminary Paleoseismic Results from Southern Clark Fault, San Jacinto Fault Zone, Southern California; Comparison to the Hog Lake Paleoseismic Record, Abstract T51B-2327 presented at 2011 Fall Meeting, AGU, San Francisco, Calif., 5-9 Dec.
Buga, M.T., T.K. Rockwell, and J.B. Salisbury, 2011, Preliminary Paleoseismic Results from Southern Clark Fault, San Jacinto Fault Zone, Southern California; Comparison to the Hog Lake Paleoseismic Record, 2011 SCEC Annual Meeting poster A-148. Figueiredo, P. M., Cabral, J., Rockwell, T. K., 2011, Plio- Pleistocene Tectonic Activity in the Southwest of Portugal, 2nd INQUA-IGCP 567 International Workshop Proccedings, Vol. 2: Earthquake Geology and Archaeology: Science, Society and Critical facilities, pp. 30-33 (C. Grützner, R. Pérez-López, T. Fernández-Steeger,, I. Papanikolaou, K. Reicherter, P.G. Silva & A. Vött, Eds.). ISBN 978-960-466-093-3. McGill, S.F., L.A. Owen, E.O. Kent, T.K. Rockwell, and N.W. Onderdonk, 2011, Slip rate of the northern San Jacinto fault from offset landslides in the San Timoteo Badlands, Abstract A-151, Southern California Earthquake Center, 2011 Annual Meeting, Proceedings and Abstracts, v. 21, p. 200. Morton, N., Girty, G.H., and Rockwell, T.K., Fault zone architecture, San Jacinto fault zone, southern California: evidence for focused fluid flow and heat transfer in the shallow crust, Abstract T33E-2468 presented at 2011 Fall Meeting, AGU, San Francisco, Calif., 5-9 Dec.
Mueller, K. J., Rockwell, T. K., Teran, O. J., Fletcher, J. M., Akciz, S. O., and Patton, P., 2011, Rupture Pattern of the 1892 Laguna Salada Earthquake: A Precursor to 2010 El Mayor-Cucapah, SCEC Annual Meeting: Palm Springs, CA. Poster Presentation: El Mayor-Cucapah Science and Earthquake Response: Palm Springs, CA. Onderdonk, N.W., T.K. Rockwell, S.F. McGill, and G. Marliyani, 2011, Timing of large earthquakes between 400 AD to present along the Claremont fault, northern San Jacinto fault zone, from Mystic Lake, California, Abstract A-150, Southern California Earthquake Center, 2011 Annual Meeting, Proceedings and Abstracts, v. 21, p. 209. Rempe, M., Mitchell, T.M., Renner, J., Nippress, S., Ben-Zion, Y., Thomas K Rockwell, Steven Smith5 & Giulio Di Toro. 2011, Investigating the Damage Pattern of Fault Zone Rocks by In-Situ Seismic Field Measurements and Laboratory Experiments. European Geophysical Union annual meeting in Vienna. Rockwell, Thomas K., Yann Klinger, 2011, The Variability of along strike co-seismic slip: A new example from the Imperial Fault of Southern California, 2nd INQUA-IGCP 567 International Workshop Proccedings, Vol. 2: Earthquake Geology and Archaeology: Science, Society and Critical facilities, pp. 200-203 (C. Grützner, R. Pérez-López, T. Fernández-Steeger,, I. Papanikolaou, K. Reicherter, P.G. Silva & A. Vött, Eds.). ISBN 978-960-466-093-3. Rockwell, T.K., 2011, Large co-seismic uplift of coastal terraces across the Ventura Avenue anticline: Implications for the size of earthquakes and the potential for tsunami generation. Invited Plenery talk, Southern California Earthquake Center Annual Meeting, Palm Springs. Salisbury, J. B., Rockwell, T. K., Middleton, T. J, Hudnut, K., 2011, LiDAR and Field Observations of Earthquake Slip Distribution for the Central San Jacinto Fault, San Diego Association of Geologists January meeting, San Diego, California. Swift, M., S. McGill, N. Onderdonk, T. Rockwell, and G. Marliyani, 2011, Evidence for Prehistoric Earthquakes along the San Jacinto Fault in Trench 7 at the Mystic Lake Paleoseismic Site, Southern California, Abstracts from 2011 EarthScope National Meeting, p. 198. Teran, O. J., Fletcher, J. M., Rockwell, T. K., Hudnut, K. W., Oskin, M. E., Akciz, S. O., Elliot, A. J., Gold, P. O., Liu-Zheng, L., Manjarrez, U. R., Mendoza-Borunda, R., Morelan, A. E., and Spelz, R. M., 2011, Structural Controls on the Surface Rupture Associated with the Mw7.2 El Mayor- Cucapah Earthquake of 4 April 2010: A Comparative Analysis of Scarp Array Kinematics, Orientation, Lithology and Width., SCEC Annual Meeting: El Mayor-Cucapah Science and Earthquake Response: Palm Springs, CA. Teran, O. J., Fletcher, J. M., Rockwell, T. K., Hudnut, K. W., Oskin, M. E., Akciz, S. O., Elliot, A. J., Gold, P. O., Liu-Zheng, L., Manjarrez, U. R., Mendoza-Borunda, R., Morelan, A. E., and Spelz, R. M., 2011, Structural Controls on the Surface Rupture Associated with the Mw7.2 El Mayor- Cucapah Earthquake of 4 April 2010: A Comparative Analysis of Scarp Array Kinematics, Orientation, Lithology and Width., Abstract T31B-2348 presented at 2011 Fall Meeting: San Francisco, CA, AGU. Tsang, R., T. Rockwell, A. Meltzner, P. Figueiredo, 2011, Towards Development of a Long Rupture History of the Imperial Fault in Mesquite Basin, Imperial Valley, Southern California, 2nd INQUA-IGCP 567 International Workshop Proccedings, Vol. 2: Earthquake Geology and Archaeology: Science, Society and Critical facilities, pp. 243-246 (C. Grützner, R. Pérez-López, T. Fernández-Steeger,, I. Papanikolaou, K. Reicherter, P.G. Silva & A. Vött, Eds.). ISBN 978-960-466-093-3. Tsang, R.Y., Rockwell, T.K., Meltzner, A.J., and Figueiredo, P.M., 2011, Towards development of a long rupture history of the Imperial fault in Mesquite Basin, Imperial Valley, southern California [abstract], Seismological Research Letters, v. 82, no. 2. Wechsler, N., Rockwell, T, Klinger, Y., Agnon, A., Marco, S., 2011, Testing Earthquake Recurrence Models with 3D trenching along the Dead-Sea Transform, 2nd INQUA-IGCP 567 International Workshop Proceedings, Vol. 2: Earthquake Geology and Archaeology: Science, Society and Critical facilities, pp. 269-271 (C. Grützner, R. Pérez-López, T. Fernández-Steeger,, I. Papanikolaou, K. Reicherter, P.G. Silva & A. Vött, Eds.). ISBN 978-960-466-093-3. Rockwell, Thomas, 2010, Invited talk: The non-regularity of earthquake recurrence in California: Lessons from long paleoseismic records in simple versus complex regions. Eos, Transactions, American Geophysical Union, 91, presented at 2010 Fall Meeting, AGU, San Francisco, Calif.
Rockwell, Fletcher, Teran, Mueller, 2010, Re-evaluation of the 1892 Laguna Salada Earthquake Rupture, and its partial re-Rupture During the 2010 El Mayor-Cucapah Earthquake. Eos, Transactions, American Geophysical Union, 91, presented at 2010 Fall Meeting, AGU, San Francisco, Calif.
Onderdonk, N., McGill, S., Marliyani**, G., and Rockwell, T., New Paleoseismic data from the northern San Jacinto Fault Zone, southern California. Eos, Transactions, American Geophysical Union, 91, presented at 2010 Fall Meeting, AGU, San Francisco, Calif.
Salisbury**, J. B., Rockwell, T. K., Middleton**, T. J, Hudnut, K., 2010, Field and LiDAR observations of earthquake slip distribution for the central San Jacinto fault, Eos, Transactions, American Geophysical Union, 91, presented at 2010 Fall Meeting, AGU, San Francisco, Calif.
Marliyani**, G. I., Rockwell, T. K., Onderdonk, N., McGill, S.F., 2010, Subsurface characterization of Mystic Lake Paleoseismic site on the Claremont fault using CPT Data: Evidence for straightening of the northern San Jacinto fault, California, Eos, Transactions, American Geophysical Union, 91, presented at 2010 Fall Meeting, AGU, San Francisco, Calif.
Rockwell, T.K. and K. Okumura, 2010, Comparison of long paleoseismic records of earthquakes on the San Jacinto, San Andreas and North Anatolian faults: A view into the behavior of complex versus simple fault systems. 15th Anniversary Symposium on the Kobe Earthquake, Hokudan, Japan, abstracts volume. P.M. Figueiredo, J. Cabral, T. Rockwell, 2010, Southwest Portugal Plio-Pleistocene Tectonic Activity Studies: The S.Teotónio- Aljezur – Sinceira Fault System and Coastal Tectonic Uplift Evidences, Abstract book for the 1st Active Tectonics and Paleoseismology Iberian Meeting, Sigüenza, España. Onderdonk, N., Marliyani, G., Rockwell, T.K., and McGill, S., 2010, Preliminary results from Mystic Lake: A new paleoseismic site along the northern San Jacinto fault zone. Cordilleran Section, Abstracts with Program, Geol. Soc. America, Anaheim, California, p. 83. Masana, Eulalia, Rockwell, Thomas K., and Stepancikova, Petra, 2010, Combining new airborne LiDAR and provenance of alluvial fan deposits to constrain long-term offsets along the Elsinore fault in the Coyote Mountains, Imperial Valley, California. Cordilleran Section, Abstracts with Program, Geol. Soc. America, Anaheim, California, p. 93. Fletcher, John, Tom Rockwell, Orlando Teran, Eulalia Masana, Geoff Faneros, Ken Hudnut, Javier Gonzalez, Alejandro Gonzalez, Ronald Spelz, Karl Mueller, Ling-ho Chung, Sinan Akciz, John Galetzka, Joann Stock, and Kate Scharer, 2010, The surface ruptures associated with the El Mayor-Borrego earthquake sequence. Special Session for the Cordilleran Section, Geol. Soc. America Annual Meeting, Abstracts with Program, Anaheim, California. Onderdonk, N., S. McGill, G. Marliyani*, and T. Rockwell, 2010, Preliminary results from Mystic Lake: A new paleoseismic site along the northern San Jacinto fault zone. Southern California Earthquake Center (SCEC) Annual Meeting Proceedings and Abstracts, v. 20, p. 258. Salisbury*, J.B., Rockwell, T.K., Middleton*, T.J., and Hudnut, K.W., 2010, LiDAR and field observations of earthquake slip distribution for the central San Jacinto fault. Southern California Earthquake Center (SCEC) Annual Meeting Proceedings and Abstracts, v. 20, p. 271. Blisniuk, K., Oskin, M.E., Sharp, W., Fletcher, K., and Rockwell, T., 2010, Accelerated Holocene slip rate across the southern San Jacinto fault zone inferred from 10Be and U-series dating of late Quaternary landforms. Southern California Earthquake Center (SCEC) Annual Meeting Proceedings and Abstracts, v. 20, p. 192-193. Marliyani**, G., Rockwell, T.K., Onderdonk, N.W., and McGill, S.F., 2010, Subsurface characterization of the Mystic Lake paleoseismic site on the Claremont fault using CPT data: Evidence for straightening of the northern San Jacinto fault. Southern California Earthquake Center (SCEC) Annual Meeting Proceedings and Abstracts, v. 20, p. 247-248. McGill, S.F., Owen, L.A., Kent, E.O., Onderdonk, N.W., and Rockwell, T.K., 2010, Slip rate of the northern San Jacinto fault from offset landslides in the San Timoteo badlands. Southern California Earthquake Center (SCEC) Annual Meeting Proceedings and Abstracts, v. 20, p. 249-250. Swift*, M.R., McGill, S.F., Onderdonk, N., Rockwell, T.K., Anderson*, B., Bywater*, J., Chung*, K., Duncan*, J., and Marliyani**, G., 2010, Prehistoric earthquakes along the San Jacinto fault in trench 7 at the Mystic Lake paleoseismic site. Southern California Earthquake Center (SCEC) Annual Meeting Proceedings and Abstracts, v. 20, p. 281. Wechsler*, N., Chester, J.S., Rockwell, T.K., and Ben-Zion, Y., 2010, Particle size analysis of damage textures in fault zone rocks. Southern California Earthquake Center (SCEC) Annual Meeting Proceedings and Abstracts, v. 20, p. 289-290. Wechsler, N, Rockwell, T. K., and Ben-Zion, N., 2009, Analysis of rock damage from the Little Rock core, San Andreas fault, southern California. Abstract presented at the American Geophysical Union annual meeting, Dec., 2009, abstract #H43E-1676. Rockwell, T.K., 2009, The Art of Trenching. in Pérez-Lopez, R., Grützner, C., Lario, J., Reicherter, K, & Silva, P.G. (eds), Archeeoseismology and Palaeoseismology in the Alpine-Himalayan Collisional Zone: 1st INQUA-IGCP-567 International Workshop on Earthquake Archaeology and Palaeoseismology, Baelo Claudia (Cádiz), Spain, Abstracts and Proceedings Volume, p. 32-34. Wechsler**, N, Rockwell, T. K., and Ben-Zion, N., 2009, Application of LiDAR and SRTM Data in the analysis of fault zone damage, Seismological Society of America Annual meeting, Seismological Research Letters, Volume 80, No. 2, page 304. Wechsler*, N., Allen*, E. E., Rockwell, T. K., Chester, J., and Ben-Zion, Y., 2009a, Characterization of Pulverized Granite from a Traverse and a Shallow Drill along the San Andreas Fault, Little Rock, CA, Seismological Society of America Annual meeting, Seismological Research Letters, Volume 80, No. 2, page 319. Rockwell, T.K., 2009, Comparison of Long Paleoseismic Records of Earthquakes on the San Jacinto and San Andreas Faults versus the Dead Sea Transform: Implications for Making Hazard Estimates From Short Paleoseismic Records. International Workshop and Fieldtrip on the Dead Sea Rift, 16-23 February, Israel and Jordan. Rockwell, T.K., 2009, Long Paleoseismic Records of Earthquakes on the San Jacinto and San Andreas Faults: Implications for Making Hazard Estimates From Short Paleoseismic Records. Second International Seminar on Earthquake Prediction, Lisbon, Portugal. Kennedy, G.K. and Rockwell, T.K., 2008, Paleoclimatic inferences from late Pleistocene (late last-interglacial) marine invertebrate faunas from the Bird Rock terrace, Pacific Beach and Ocean Beach, southern San Diego County, California. Western Society of Malacologists, 41st Annual Meeting, Menlo Park, CA. Kaneda, H. and Rockwell, T.K., 2008, Passive and primary surface ruptures along the Camp Rock fault, Eastern California Shear Zone. Seismological Research Letters, v. 79, no. 2, p. 329. Rockwell, T.K., 2008, Observations of Mode-Switching From Long Paleoseismic Records of Earthquakes on the San Jacinto and San Andreas Faults: Implications for Making Hazard Estimates From Short Paleoseismic Records. International Geologic Congress, Oslo, Norway. Rockwell, T., Fonseca, J., Madden, C., Dawson, T., Owen, L., Vilanova, S., and Figueiredo, P., 2008, Paleoseismic Assessment of the Vilariça Segment of the Manteigas-Bragança Fault in Northeastern Portugal for the Proposed Sabor River Dam. Association of Engineering Geologists Annual Meeting, Program with Abstracts, NEWS v. 51, TS 20. Rockwell, T.K., Madden, C., Girty, G., and Brown, J., 2008, Rupture Potential of the Left Abutment Fault, San Vicente Dam, San Diego County, California. Association of Engineering Geologists Annual Meeting, Program with Abstracts, NEWS v. 51, TS 16. Gath, E., Rockwell, T., Gonzalez, T., Madden, C., and Verdugo, D., 2008, Quantitative determination of the Pedro Miguel fault’s displacement and slip kinematics for design of the Panama Canal expansion project’s Borinquen dam. Association of Engineering Geologists Annual Meeting NEWS, Program with Abstracts, v. 51, TS 16. Rockwell, T.K., and A.J. Meltzner, 2008, Non-characteristic slip and earthquake clustering on the Imperial fault, Mesquite Basin, Imperial Valley, California, Eos, Transactions, American Geophysical Union v. 89 (53), Fall Meet. Suppl., Abstract T11A-1845. Rockwell, T K, Sisk, M, Stillings, M, Girty, G, Dor, O, Wechsler, N, Ben-Zion, Y, 2008, Chemical and Physical Characteristics of Pulverized Granitic Rock Adjacent to the San Andreas, Garlock and San Jacinto Faults: Implications for Earthquake Physics, Eos Trans. American Geophysical Union, Fall Meet. Suppl., v. 89, Abstract T53F-02. Figueiredo, P., Cabral, J., and Rockwell, T., 2008, Late Pliocene to Pleistocene tectonic activity in SW Portugal: The S. Teotonio-Aljezur-Sinceira fault system and evidence for coastal uplift. Eos Trans. American Geophysical Union v. 89 (53), Fall Meet. Suppl., Abstract T21B-1948. Stillings, M.S., Girty, G.H., Rockwell, T.K., Moniz, R., Biggs, M., 2007, Mass transfer processes during seismic rupture: Clark strand, San Jacinto fault zone, southern California. Seismological Research Letters, v. 78, no. 2, p. 302. Dor, O., Y. Ben-Zion, J.S Chester, J. Brune and T. Rockwell, 2007, Damage characterization in sandstones along the Mojave section of the San Andreas Fault with a new method: initial results and implications for the depth and mechanism of dynamic rock fragmentation. SCEC Annual Meeting, Palm Springs, California. P. Marques Figueiredo 1, J. Cabral, T. Rockwell and R. Dias, 2008, Late Pliocene to Pleistocene tectonic activity in SW Portugal: The S. Teotónio -Aljezur – Sinceira fault system – a review, International Meeting of young Researchers in Structural Geology and Tectonics, Yorsget 08, pp. 505-508. Lippincott, C.K., Rockwell, T.K., Owen, L., and Verdugo, D.M., 2007, The applicability of optically stimulated luminescence (OSL) methods to dating offset historical shoreline deposits along the southern San Andreas fault system. Seismological Research Letters, v. 78, no. 2, p. 315-316. Verdugo, D.M., Ragona, D.E., and Rockwell, T.K., 2007, Slip in the past 5 earthquakes on the Supersition Mountain fault at Carrizo Wash, southern San Jacinto fault zone, southern California. Seismological Research Letters, v. 78, no. 2, p. 316. Sisk, M.A., Dor, O., Rockwell, T.K., Girty, G., and Ben-Zion, Y., 2007, Physical properties of pulverized Tejon Lookout Granite, San Andreas and Garlock faults, southern California based on XRF, XRD and particle size analyses. Seismological Research Letters, v. 78, no. 2, p. 317. Gath, E.M., Gonzalez, T., Madden, C., Dawson, T., Rockwell, T., and Franceschi, P., 2007, Seismic Hazard Studies for the Panama Canal Expansion Project Using Tectonic Geomorphology (abs); AEG NEWS Program with Abstracts, 2007 Annual Meeting, Los Angeles, CA, v. 50, p. 84-85. Rockwell, T., Seitz, G., Dawson, T., Young, J., and Middleton, T., 2007, Earthquake record of the San Jacinto fault at Hog Lake: Implications for patterns of recurrence from 16 events in 3.8 ka. AEG NEWS Program with Abstracts, 2007 Annual Meeting, Los Angeles, CA, v. 50, p. 114. Gingery, J. and Rockwell, T., 2007, Coronado fault hazard characterization for the SR75/282 tunnel project. AEG NEWS Program with Abstracts, 2007 Annual Meeting, Los Angeles, CA, v. 50, p. 85. Rockwell, T., Madden, C., Dawson, T., Owen, L., Vilanova, S., Figueiredo, P., and Fonseca, J., 2007, Seismic charcaterization of the Vilarica fault in Portugal: Comparison between a segmentation model and paleoseismology. AEG NEWS Program with Abstracts, 2007 Annual Meeting, Los Angeles, CA, v. 50, p. 114. Goetz, C., Heron, C., Kelson, K., Lindvall, S., Molinari, M., and Rockwell, T., 2007, Surface fault rupture hazard investigations at North Haiwee dam, Inyo County, California. AEG NEWS Program with Abstracts, 2007 Annual Meeting, Los Angeles, CA, v. 50, p. 85. Gonzalez, T, Rockwell, T., Gath, E., Dawson, T., and Cadena, A., 2007, Tectonic geomorphology and paleoseismology of the Limón fault, Panama (abs); AEG NEWS Program with Abstracts, 2007 Annual Meeting, Los Angeles, CA, v. 50, p. 86. Madden, C., Gonzalez, T, Rockwell, T., Dawson, T., and Gath, E., 2007, Tectonic geomorphology and paleoseismology of the Pedro Miguel fault, Panama (abs); AEG NEWS Program with Abstracts, 2007 Annual Meeting, Los Angeles, CA, v. 50, p. 102. Rockwell, T., Gath, E., Gonzalez, T, Dawson, T., and Cadena, A., 2007, Tectonic geomorphology and paleoseismology of the Gatún fault, Panama (abs); AEG NEWS Program with Abstracts, 2007 Annual Meeting, Los Angeles, CA, v. 50, p. 114. Kennedy, G.K., Rockwell, T.K., Suarez-Vidal, F., Muhs, D., and Wehmiller, J., 2007, Paleontology and geochronology of Pleistocene marine terrace faunas, Punta Bamda, northwestern Baja California. Western Society of Malacologists, Annual Report, v. 37, p. 58. Van Zandt, A., Mellors, R., Rockwell, T.K., Burgess, M., and O’Hare, M., 2007, New insights on southern Coyote Creek fault and Superstition Hills fault. EOS Trans. Amer. Geophys. Union, 85, Abstract G21C-0686. Wechsler, N., Rockwell, T.K., and Ben-Zion, Y., 2007, Damage asymmetry from hydro-geomorphic signals along the trifurcation area of the San-Jacinto Fault, Eos, Transactions, American Geophysical Union 88 (53), Fall Meet. Suppl., Abstract H43E-1676. Dor, O., M. Sisk, Y. Ben-Zion, T. Rockwell, and G. Girty, 2006, Pulverized Rocks in the San Andreas Fault Zone, Seism. Res. Lett., 77(2), 220. Rockwell, T., Seitz, G., Dawson, T., and Young, J., 2006, The long record of San Jacinto fault paleoearthquakes at Hog Lake: Implications for regional strain release in the southern San Andreas fault system. Seismological Research Letters, v. 77, no. 2, p. 270. Salamon, A., Ward, S., and Rockwell, T., 2006, Tsunamis along the eastern mediterranean coast: The past is the key to the future. Seismological Research Letters, v. 77, no. 2, p. 286-287. Dor, O., Y. Ben-Zion, T. Rockwell and J. Brune, 2006, Geologic Observations of Asymmetric Rock Damage Across Large Strike-Slip Faults and Ruptures along Bimaterial Interfaces, EOS Trans. Amer. Geophys. Union, 87(36), Jt. Assem. Suppl., Abstract NS32A-03. Dor, O., Y. Ben-Zion, T. Rockwell and J. Brune, 2006, Geologic Observations of Asymmetric Rock Damage Across Large Faults: implications for Ruptures along Bimaterial Interface, Proceeding, Conference of Mathematical Geophysics. Dor, O., M. Sisk, Y. Ben-Zion, T. Rockwell, and G. Girty, 2006, Pulverized Rocks in the San Andreas Fault Zone, Proceeding, Conference of Mathematical Geophysics. Dor, O, C. Yildirim, T. Rockwell, Y. Ben-Zion, O. Emre, M. Sisk and T. Duman, 2006, Asymmetric Structural Properties Across the 1943 and 1944 Rupture Zones of the North Anatolian Fault: a Possible Indication for a Preferred Rupture Direction. SCEC Annual Meeting, Palm Springs, California. Dor, O., Y. Ben-Zion, T. Rockwell and J. Brune, 2006, Pulverized Sedimentary Rocks Along the Mojave Section of the San Andreas Fault. SCEC Annual Meeting, Palm Springs, California. Sisk, M., M. Stillings, T. Rockwell, G. Girty, O. Dor, and Y. Ben-Zion, 2006, Pulverized Rock Along Faults of the San Andreas System in Southern California, SCEC Annual Meeting, Palm Springs, California. Dor, O., Y. Ben-Zion, T. Rockwell and J. Brune, 2006, Pulverized sedimentary rocks along the Mojave section of the San Andreas Fault, EOS Trans. Amer. Geophys. Union, 87(52), Fall Meet. Suppl., Abstract T31F-08. Rockwell, T.K., Seitz, G., Ragona, D.E., Dawson, T.E., Faneros, G., Verdugo, D., and Altangerel, O., 2005, Investigation of segment controls on the rupture history of the southern San Jacinto fault. Seismological Research Letters, v. 76, no. 2, p. 254. Dor O., Y. Ben-Zion,T.K. Rockwell and J. Brune, 2005, Geological signal for preferred rupture direction: updated observations from large strike-slip faults in Southern CA, Seism. Res. Lett., v. 76, no. 2, p. 252-253. Verdugo, D.M., Ragona, D.E., and Rockwell, T.K., 2005, Further resolution of paleoseismicityy at the Carrizo Wash site, Superstition Mountain strand of the San Jacinto fault, Imperial Valley, southern California. Seismological Research Letters, v. 76, no. 2, p. 254. Ben-Zion, Y., Z. Shi, O. Dor and T. Rockwell, 2005, Theoretical and observational results on rupture along a bimaterial interface, Seism. Res. Lett., 76(2), 261. Ben-Zion, Y., Z. Shi, O. Dor and T. Rockwell, 2005, Dynamic rupture along a bimaterial interface and possible evolution of energy partition during earthquakes with the evolution of fault zone structure, Chapman conference of the Amer. Geophys. Union. Dor O., Y. Ben-Zion,T.K. Rockwell and J. Brune, 2005, Geological Signal for Preferred Rupture Direction: Observations From Large Strike-Slip Faults in Southern CA, Chapman conference of the Amer. Geophys. Union. Verdugo, D.M., Ragona, D.E., and Rockwell, T.K., 2005, Further resolution of past earthquake surface ruptures at the Carrizo Wash site, Superstition Mountain strand of the San Jacinto fault, Imperial Valley, southern California. EOS Trans. Amer. Geophys. Union, 85, Abstract S13B-0190. Ragona, D. Minster, B., Rockwell, T.K., Fialko, Y., Jussia, J., and Blom, R., 2005, Field Imaging Spectroscopy. Applications in Earthquake Geology, Eos, Trans. AGU, 86, Suppl., abst. S13B-0188. Dor, O., Ben-Zion, Y., Rockwell, T. and Brune, J.N. , 2005, Geological Signals for Preferred Propagation Direction of Earthquake Ruptures on Large Strike-Slip Faults in Southern CA. The 2nd Geodynamics Workshop in Weizmann Inst. Sci., Rehovot, Israel. Rockwell, T., 2005, Trenching case histories from the Eastern California Shear Zone. Association of Engineering Geologists NEWS, 2005 Annual Meeting, Program with Abstracts, Las Vegas, NV, v. 48, p. 82. Rockwell, T., 2005, Successful paleoseismic strategies and techniques of the Desert Southwest. Association of Engineering Geologists NEWS, 2005 Annual Meeting, Program with Abstracts, Las Vegas, NV, v. 48, p. 82. Sisk, M., T. Rockwell, G. Girty, O. Dor, and Y. Ben-Zion, 2005, Potentially Pulverized Granites Along the Garlock Fault: An analysis into their Physical and Chemical Properties, EOS Trans. Amer. Geophys. Union, 86(52), Fall Meet. Suppl., Abstract S41B-0994. Dor, O, C. Yildirim, T. Rockwell, O. Emre, Y. Ben-Zion, M. Sisk and T. Duman, 2005, Asymmetric structural properties across the 1943 rupture zone of the North Anatolian Fault: a possible indication for a preferred rupture direction, EOS Trans. Amer. Geophys. Union, 86(52), Fall Meet. Suppl., Abstract S31B-07. Yildirim C., O. Dor, T. Rockwell, O. Emre, Y. Ben-Zion, M. Sisk and T. Duman, 2005, Geomorphic Signals for Preferred Propagation Direction of Earthquake Ruptures on the North Anatolian Fault System, Turkey, EOS Trans. Amer. Geophys. Union, 86(52), Fall Meet. Suppl., Abstract S31B-08. Ragona, D., Minster, B., Fialko, Y., Rockwell, T., Hemlinger, M., and Blom, R., 2004, Hyperspectral imaging of trench stratigraphy: Further improvements in the recognition and documentation of past earthquakes at paleoseismic sites. Seismological Research Letters, v. 75, no. 2, p. 255. Khatib, F., Le Beon, M., Rockwell, T.K., Lindvall, S., Cadena, A., Verdugo, D., Rubin, C., Horner, J., Seitz, G., and Bowman-Weaver, C., 2004, Earthquakes and triggered slip events on the Lenwood fault at Fry Mountain Playa: Is the northern Lenwood due for a shake-up? Seismological Research Letters, v. 75, no. 2, p. 276. Dor O., T. Rockwell and Y. Ben-Zion, 2004, Asymmetric structural properties across the San Jacinto, Punchbowl and San Andreas Faults: A possible indication for preferred rupture propagation direction, Seism. Res. Lett., 75, 245. Ragona, D.E., Minster, B., Rockwell, T.K., Fialko, Y., Blom, R.G. and Hemlinger, M., 2004, Towards development of hyperspectral images of trench walls. Robotrench: Automatic data acquisition. EOS Trans. Amer. Geophys. Union, 85, Abstract S43C-1030. Black, N., Jackson, D.D., and Rockwell, T.K., 2004, Maximum magnitude in relation to mapped fault length and fault rupture. EOS Trans. Amer. Geophys. Union, 85, Abstract S41A-0922. Dor O., T. Rockwell and Y. Ben-Zion, 2004, Pulverized Fault Zone Rocks Along the Mojave Section of the San Andreas Fault: Distribution and Mechanical Significance, EOS Trans. Amer. Geophys. Union, 85, Abstract S31D-02. Dor O., T. Rockwell and Y. Ben-Zion, 2003, Asymmetric structural properties across the San Jacinto fault, Anza and the San Andreas fault, Gorman: A possible indication of preferred rupture direction, EOS Trans. Amer. Geophys. Union, 84(46), Abstract S42C-0189. Rockwell, T.K., J. Young, G. Seitz, A. Meltzner, D. Verdugo, F. Khatib, D. Ragona, O. Altangerel, and J. West, 2003. 3,000 years of ground-rupturing earthquakes in the Anza Seismic Gap, San Jacinto fault, southern California: time to shake it up?, Seismological Research Letters 74, pp. 236-237. Meltzner, A.J., Rockwell, T.K., and Verdugo, D.M., 2003, Slip along the Brawley fault, Imperial Valley, California during the past 400 years. Seismological Research Letters, v. 74, no. 2, p. 237. Seitz, G.G., Rockwell, T.K., and Leinkaemper, J.L., 2003, Improving C14-based paleoseismic chronologies by dating various detrital organic components: Examples from the Tule Pond and Hog Lake sites. Seismological Research Letters, v. 74, no. 2, p. 237. Ragona, D., Minster, B., Fialko, Y., Rockwell, T., Hemlinger, M., and Blom, R., 2003, Hyperspectral imaging of trench stratigraphy: Toward improving the recognition and documentation of past earthquakes at paleoseismic sites. Seismological Research Letters, v. 74, no. 2, p. 238. Ward, S., Rockwell, T.K., and Grant, L., 2003, Paleoseismic constraints on earthquake simulation models of southern California. Proceedings and Abstracts, v. XII, Southern California Earthquake Center Annual Meeting, p. 153-154. Okumura, K., Rockwell, T., Duman, T., Tokay, F., Kondo, H., Yoldirim, C., Ozaksoy, V., 2003, Refined slip history of the North Anatolian fault at Gerede on the 1944 rupture. Eos Trans. AGU, 83(47), Fall Meet. Suppl., Abstract S12B-0384. Ragona, D., B. Minster, Y. Fialko, and T. Rockwell, 2003, Hyperspectral analysis of paleoseismic trench stratigraphy: Toward improving the recognition and documentation of past earthquakes , Eos, Trans. AGU, 84, Suppl., p. F1004. Rockwell, T. and Meghraoui, M., 2003, Paleoseismology near the Sea of Marmara: Implications on the constancy of segment boundaries and multi-segment ruptures. EGS-AGU-EUG Joint Assembly, Nice France, abstract #12947. Cadena, A., Rubin, C., Walls, C., Khatib, F., Rockwell, T., Lindvall, S., Madden, C., 2003, Paleoseismic investigation on the Pinto Mountain fault at the Oasis of Mara, Mojave Desert, California. EOS Trans. Amer. Geophys. Union, 85, Abstract S12B-0392. Meltzner, A.J., Rockwell, T.K., and Verdugo, D.M., Earthquake history of the northern Imperial fault, Imperial Valley, California, since the last lake Cahuilla highstand, circa A.D. 1680. EOS Trans. Amer. Geophys. Union, 85, Abstract S12B-0394. Rockwell, T., Aksoy, E., Ferry. M., Klinger, Y., Langridge, R., Meghraoui, M., Meltzner, A., Ragona, D., Seitz, G., Ecarkus, G., 2003, Paleoseismic record of surface ruptures of the western third of the North Anatolian fault: Implications for fault segmentation models. EGS-AGU-EUG Joint Assembly, Nice France, abstract #13320. Ferry, M., Meghraoui, M., Rockwell, T.K., Kozaci, O., Akyuz, S., Girard, J.-F., and Barka, A., 2003, GPR investigations along the North Anatolian fault near Izmit (Turkey): Comstraints on the right-lateral movement and slip history. EGS-AGU-EUG Joint Assembly, Nice France, abstract #6849. Okumura, K., Kondo, H., Rockwell, T.K., Awata, Y., Duman, T., Tokay, E., Yoldirim, C., and Ozaksoy, V., 2003 Slip history of the 1944 segment of the North Anatolian fault to quantify irregularity in the recurrence. Seismological Research Letters, v. 75, no. 2, p. 253. Meltzner, A.J., Rockwell, T.K., Clayton, R.W., and Stock, J.M., 2002, Locating the Brawley fault north of the 1979 rupture, Imperial County, California. Seismological Research Letters, v. 73, no. 2, p. 230. Grant, L.B. and Rockwell, T.K., 2002, Northward-propagating earthquake sequence in coastal southern California. Seismological Research Letters, v. 73, no. 2, p. 263. Meltzner, A.J. and Rockwell, T.K., 2002, Slip along the Brawley Fault, Imperial Valley, California, during the past 300-400 years. Eos Trans. AGU, 83(47), Fall Meet. Suppl., Abstract S71B-1087. Plesch, A., J. H. Shaw, J. Dolan, L. Grant, E. Hauksson, M. Kamerling, M. Legg, S. Lindvall, C. Nicholson, T. Rockwell, C. Sorlien, R. Yeats, 2002, SCEC 3D Community Fault Model for Southern California, Eos Trans. AGU, 83(47), Fall Meet. Suppl., Abstract S21A-0966. Rockwell, T.K., A. Barka, G. Seitz, D. Ragona, E. Aksoy, Y. Klinger, A. Meltzner, M. Meghraoui, D. Dier, R. Langridge, G. Ukarcus, A. Akoglu, M. Ferry, A. Akbalik, and D. Satir, 2001, Paleoseismology of the North Anatolian fault east and west of the Marmara Sea: implications for seismic hazard to Istanbul, Abstracts with Programs – Geological Society of America 33, p. 80. Lindvall, S., Rockwell, T.K., Kasman, G., and Helms, J., 2001, Style, activity and uplift rate of the Hollywood fault and West Hollywood, California. Abstracts with Programs – Geological Society of America 33, p. 41. Orgil, A. and Rockwell, T., 2001, Three dimensional paleoseismic investigation on the south break of the Coyote Creek fault, southern California. Abstracts with Programs – Geological Society of America 33, p. 58. Ragona, D., Rockwell, T.K., and Orgil, A., 2001, Fault segmentation and earthquake behavior: A high-resolution paleoseismic study in the southern San Jacinto fault zone. Eos Trans. AGU, 83(47), Fall Meet. Suppl., Abstract S52D-0668. Kier, G.B., Mueller, K., and Rockwell, T., 2001, Origin of uplift across southern California and northern Baja California. Eos Trans. AGU, 83(47), Fall Meet. Suppl., Abstract T52A-0917. Rockwell, T.K., Dawson, T., Lindvall, S.C., Lettis, W., Langridge, R. and Klinger, Y., 2001, Lateral offsets on surveyed cultural features resulting from the 1999 Izmit and Duzce earthquakes, Turkey. Seismological Research Letters, v. 72, no. 2, p. 264. Dawson, T.E., McGill, S.F., and Rockwell, T.K., 2001, Irregular recurrence of paleoearthquakes on the central Garlock fault, near El Paso Peaks, California. Seismological Research Letters, v. 72, no. 2, p. 265. Lindvall, S., T. Rockwell, D. Schwartz, T. Dawson, J. Helms, C. Madden, D. Yule, H. Stenner, D. Ragona, G. Kasman, M. Seim, A. Meltzner, and M. Caffee, 2001, Paleoseismic investigations of the 1999 M7.1 Hector Mine earthquake surface rupture and adjacent Bullion fault, Twentynine Palms Marine Corps Base, California, Abstracts with Programs – Geological Society of America 33, p. 79. Rockwell, T., 2000, Strain transfer across the transtensional Imperial and Mexicali Valleys of southern California and northern Baja California, Mexico: Transition from extensional to strike-slip domains: in Abstracts Volume, Active Tectonics of Western Turkey Workshop, ITU, pres. No. 23. Barka, A., Akyuz, S., Altunel, E., Sunal, G., Cakir, Z., Dikbas, A., Yerli, B., Rockwell, T., Dolan, J., Dawson, T., Hartleb, R., Tucker, A., Fumal, T., Langridge, R., Stenner, H., Christofferson, S., Armijo, R., Meyer, B., Chabalier, J.B., Lettis, W., and Bachhuber, J., 2000, The August 17, 1999 Izmit and November 12 Duzce earthquakes: surface rupture studies: : in Abstract Volume, NATO Advanced Research Seminar, Integration of Earth Sciences Research on the 1999 Turkish and Greek Earthquakes and Needs for Future Cooperative Research, Istanbul, May 2000, p. 99-101. Rockwell, T., Barka, A., Akyuz, S., Dawson, T., Sieh, K., and Gonzalez, T., 2000, The North Anatolia fault around the Marmara Sea, and pre- and post-earthquake research after the August 17, 1999 Koaceli earthquake: in Abstract Volume, NATO Advanced Research Seminar, Integration of Earth Sciences Research on the 1999 Turkish and Greek Earthquakes and Needs for Future Cooperative Research, Istanbul, May 2000, p. 47-50. Rockwell, T., 2000, Models of earthquake recurrence and prospects for future improvements in earthquake forecasting. XXVII General Assembly of the European Seismological Commission (ESC), Abstracts and Papers, Lisbon University, Portugal, SSC-2-01-0, p. 72. Barka, A., Akyuz, S., Altunel, E., Sunal, G., Cakir, Z., Dikbas, A., Yerli, B., Rockwell, T., Dolan, J., Hartleb, R., Dawson, T., Fumal, T., Langridge, R., Stenner, H., Christofferson, S., Tucker, A., Armijo, R., Meyer, B., Chabalier, J.B., Lettis, W., and Page, W., 2000, The August 17, 1999 Izmit earthquake, M 7.4, Eastern Marmara region, Turkey: Study of surface rupture and slip distribution. XXVII General Assembly of the European Seismological Commission (ESC), Abstracts and Papers, Lisbon University, Portugal, SS-5-01-0, p. 30. Rockwell, T. and Barka, A., 2000, Could the 1509 earthquake have ruptured through the Marmara Sea? XXVII General Assembly of the European Seismological Commission (ESC), Abstracts and Papers, Lisbon University, Portugal, SS-5-10-0, p. 32. Orgil, A. and Rockwell, T., 2000, Three dimensional paleoseismic investigation on the south break of the Coyote Creek fault, southern California. Eos Trans. AGU, 83(47), Fall Meet. Suppl., Abstract S62B-09. Klinger, Y., Dawson, T., Akoglu, A., Gonzalez, T., Meltzner, A., Sieh, K., Rockwell, T., Barka, A., Langridge, R., Ragona, D., and Atunel, E., 2000, Paleoseismic evidences for prior ruptures similar to the August 1999 event on the North Anatolian fault. Eos Trans. AGU, 83(47), Fall Meet. Suppl., Abstract S52C-09. Marco, S., Rockwell, T., Agnon, A., and Heimann, A., 2000, Precise slip and time of historical earthquakes determined by 3D trenching and archeological excavations, Dead Sea Transform, Israel. Eos Trans. AGU, 83(47), Fall Meet. Suppl., Abstract T12C-12. Rockwell, T.K., Dewhurst, J.A., Walls, C.W., Pollard, W.J., and Dawson, T., 1999, Paleoearthquake history of the southern San Jacinto fault: Investigation of segment controls on rupture history: : Geological Society of America Abstracts With Programs, v. 31, no. 6, p. A-89. Dawson, T.E., Rockwell, T.K., and Lindvall, S.C., 1999, Paleoseismology of the southern San Andreas fault: State of knowledge and directions for the 21st century: Geological Society of America Abstracts With Programs, v. 31, no. 6, p. A-48. Lindvall, S.C., Rockwell, T.K., Walls, C., and Rubin, C.M., 1999, Large-slip earthquakes and uplift rate gradient on the Sierra Madre-Cucamonga fault zone, southern Transverse Ranges: Geological Society of America Abstracts With Programs, v. 31, no. 6, p. A-75. Barka, A., Akyuz, Serdar, Altunel, E., Sunal, G., Cakir, Z., Dikbas, A., Yerli, B., Rockwell, T., Dolan, J., Dawson, T., Hartleb, R., Tucker, A., Fumal, T., Langridge, R., Stenner, H., Christofferson, S., Armijo, R., Meyer, B., and Chabalier, J.B., 1999, 17 August 1999 Izmit earthquake, northwestern Turkey: EOS, v. 80, no. 46, p. 647. Barka, A., Rockwell, T., Reilinger, R., Imren, C., 1999, Kinematics of the central Marmara Sea ridges: EOS, v. 80, no. 46, p. 664. Hartleib, R., Dawson, T.E., Tucker, A.Z., Dolan, J., Rockwell, T.K., Yerli, B., Dikbas, A., Cakir, Z., Gurer, T., Usla, O., Barka, A., 1999, Surface rupture and slip distribution along the Duzce strand of the 17 August 1999 earthquake, Turkey earthquake: EOS, v. 80, no. 46, p. 671. Fumal, T.E., Langridge, R.M., Stenner, H.D., Christofferson, S., Dolan, J.F., Hartleib, R., Rockwell, T., Dawson, T.E., Tucker, A.Z., Cakir, Z., Dikbas, A., Yerli, B., and Barka, A., 1999, Slip distribution and geometry of the Sakarya section of the 1999 Izmit earthquake ground rupture, western Turkey: EOS, v. 80, no. 46, p. 649. Berger, G.W., D.J. Huntley, and T.K. Rockwell. 1998. Paleoseismology from luminescence dating: Tests and application in southern California, USA. Chinese Science Bulletin (Chinese Academy of Sciences, Beijing), v.43 (Suppl. ), p.8. Monte Murbach and Thomas K. Rockwell, 1998, Evidence for Holocene earthquake activity, Rose Canyon fault zone, La Jolla, California: Association of Engineering Geologists, Programs With Abstracts, 41st Annual Meeting, Seattle, WA, p. 112. Dawson, T., T. Rockwell, and S. Lindvall, 1998, Timing of the past two earthquakes near Frazier Mountain midway between Pallett Creek and the Carrizon Plain, southern California: Eos, Transactions v. 79, no. 45, p. F612-F613. Rockwell, T.K., A. Barka, K. Thorup, T. Dawson, and S. Akyuz, 1998, Paleoseismology of the Gazikoy-Saros segment of the North Anatolia fault, northwestern Turkey: Comparison between the historical and trench record: Eos Transactions v. 79, no. 45, p. F616. T. Nakata, H. Yagi, K. Okumura, B.N. Upreti, N.S. Verdi, T.K. Rockwell, and H. Maemoku, 1998, First successful paleoseismic trench study on active faults in the Himalaya: Eos, Transactions v. 79, no. 45, p. F615. Grant, L. B., J. T. Waggoner,T.K. Rockwell and C. von Stein, 1997, Paleoseismicity of the North Branch of the Newport-Inglewood Fault Zone in Huntington Beach, California from Cone Penetrometer Test data, Seism. Res. Lttrs, v. 68, no. 2, p. 300. Thorup, K.,Rockwell, T., and Magistrale, H., 1997, Paleoseismology of the central Elsinore fault in southern California: preliminary results from three trench sites: Geological Society of America Abstracts With Programs, v. 29, no. 5, pp. 69-70. Bornyasz, Mitch and Rockwell, Tom, 1997, Towards a multivariant analysis of over 150 dated soils from central and southern California to northern Baja California: Geological Society of America Abstracts With Programs, v. 29, no. 5, p. 6. Walls, C., Rockwell, T., Pfanner, J., Bornyasz, M., and Lindvall, S., 1997, Uplift gradient along the Sierra Madre-Cucamonga fault zone, Los Angeles, California: Geological Society of America Abstracts With Programs, v. 29, no. 5, p. 72. Berger, G.W., D.J. Huntley, and T.A. Rockwell. 1997. Paleoseismology from luminescence dating: Tests and application neart Landers, California. Basin and Range Province Seismic Hazards Summit, Reno, Nevada. Houser, Charles E. and Rockwell, Thomas K., 1996, Tectonic geomorphology and paleoseismology of the Old Woman Springs fault, San Bernardino County, California: Geological Society of America Abstracts With Programs, v. 28, no. 5, p. 76. Vaughan, Patrick R., Thorup, Kim, and Rockwell, Thomas K., 1996, Paleoseismology of the central Elsinore fault near Agua Tibia Mountain, southern California, based on trenching: Geological Society of America Abstracts With Programs, v. 28, no. 5, p. 120. Colson, K.B., Rockwell, T.K., Thorup, K.M., and Kennedy, G.L., 1995, Neotectonics of the left-lateral Santa Rosa Island fault, western Transverse Ranges, southern California: Geological Society of America, Abstracts With Programs, v. 27, No. 5, p. 11. Pollard, W.J. and Rockwell, T.K., 1995, Late Holocene slip rate for the Coyote Creek fault, Imperial County, California: Geological Society of America, Abstracts With Programs, v. 27, No. 5, p. 72. Bryan, K. A. and Rockwell, T.K., 1995, Holocene character of the Helendale fault zone, Lucerne Valley, San Bernardino County, California: Geological Society of America, Abstracts With Programs, v. 27, No. 5, p. 7. Agenbroad, L., Morris, D., Rockwell, T., and Roth, L., 1995, Large items can come in small packages: The excavation and recovery of a pygmy mammoth (M. exilus) skeleton from the Channel Islands, Ca. : Geological Society of America, Abstracts With Programs, v. 27, No. 5, p. 2. Agenbroad, L., Morris, D.,, Rockwell, T., and Roth, L., 1995, A preliminary report of the recovery of the first nearly complete skeleton of the pygmy (dwarf) mammoth, Mammutus exilus from North America: Abstract volume, INQUA Congress, Berlin. Rockwell, T.K. and Vidal-Suarez, F., 1995, Holocene slip rates and timing of past earthquakes for northern Baja California faults based on trenching studies: in Libro de Resumenes, for the Third International Meeting on Geology of Baja California Peninsula, La Paz, B.C., p. 174-175. Helms, J.G., Rockwell, T.K., and McGill, S.F., 1995, Rapid clast rubification in Pilot Knob Valley, Mojave Desert, California: Potential for use in dating late Quaternary surfaces in arid regions: Geological Society of America, Abstracts With Programs, v. 27, No. 6, p. A-320. Kennedy, G.L., Adler, J.A., and Rockwell, T.K., 1995, Middle and late Pleistocene neotectonic activity and sea level history: on San Clemente Island, southern California: Geological Society of America, Abstracts With Programs, v. 27, No. 6, p. A-375. Rockwell, T.K., Lindvall, S., Berger, G.W., and Huntley, D.J., 1995, Timing of late Quaternary earthquakes along the southern portion of the Landers earthquake (1992; Mw7.4) rupture based on luminescence dating: Is this a new fault or business as usual? : Geological Society of America, Abstracts With Programs, v. 27, No. 6, p. A-376. McGill, Sally F. and Rockwell, Thomas K., 1995, Preliminary constraints on the average recurrence interval for late Holocene earthquakes on the central Garlock fault, California: EOS, v. 76, p. F362. Lindvall, S.C., Rockwell, T.K., Walls, C., and Bornyasz, M., 1995, Late Quaternary deformation of Pacoima Wash terraces in the vicinity of the 1971 San Fernando earthquake rupture, northern San Fernando Valley, California: EOS, v. 76, p. F362-F363. Dolan, James F., Rockwell, T.K. and Stevens, D., 1995, Latest Pleistocene to early or mid-Holocene age of most recent surface rupture on the Hollywood fault, Hollywood, California: The Ozzie and Harriet trench: EOS, v. 76, p. F363. Johnson, J.R., Morris, D.P., Rockwell, T., De Niro, M., and Agie, H., 1994, Arlington Springs revisited: Forth Channel Islands Symposium, Abstracts With Programs. Rockwell, T.K., 1994, Constraints on the rate of N-S convergence in the Ventura area of the western Transverse Ranges based on strike-slip fault rates in southern and Baja California west of the San Jacinto fault: Abstracts with Programs, Pacific Section, AAPG. Hirabayashi, C.K., Giroux, B., and Rockwell, T.K., 1994, Total slip across the San Miguel fault, northern Baja California: Implications for the initial age of faulting: Geological Society of America, Abstracts With Programs, v. 26, No. 2, p. 59. Rockwell, T.K., 1994, Evidence of clustering of earthquakes based on paleoseismic studies in the Imperial Valley, southern California: Geological Society of America, Abstracts With Programs, v. 26, No. 2, p. 85. Lindvall, S.C., and Rockwell, T.K., 1994, Continuing paleoseismic studies along the southern 1992 Landers earthquake rupture: Geological Society of America, Abstracts With Programs, v. 26, No. 2, p. 67. Gurrola, L. and Rockwell, T.K., 1994, Paleoseismology of the Superstition Mountain fault, Imperial Valley, California: Geological Society of America, Abstracts With Programs, v. 26, No. 2, p. 55-56. Rockwell, T.K. and Sieh, K., 1994, Correlation of large earthquakes using regional lacustrine stratigraphy, examples from the Salton Trough, California: Geological Society of America, Abstracts With Programs, v. 26, No. 7, p. A-239. Murbach, D., Rockwell, T.K., Bray, J.D., and Lazarte, C.A., 1994, On the response of standard foundations to fault rupture: During the 1992 Landers earthquake:Geological Society of America, Abstracts With Programs, v. 26, No. 7, p. A-76. Rockwell, T.K., 1994, Rectifying disparate Stage 5 paleo-sea level estimates from California, New Guinea and Japan: Geological Society of America, Abstracts With Programs, v. 26, No. 7, p. A-515. Hirabayashi, C. Kenji, Rockwell, Thomas K., and Wesnousky, Steve, 1993, Late Quaternary activity of the San Miguel fault, northern Baja California, Mexico: Geological Society of America, Abstracts With Programs, v25, no. 5, p. 53. Patterson, Aurie C. and Rockwell, Thomas K., 1993, Paleoseismology of the Whittier fault based on 3-dimensional trenching at Olinda Oil Field, Orange County, southern California: Geological Society of America, Abstracts With Programs, v25, no. 5, p. 131. Lindvall, Scott C. and Rockwell, Thomas K., 1993, Recurrent Holocene faulting along the Johnson Valley portion of the 1992 Landers earthquake surface rupture: Geological Society of America, Abstracts With Programs, v25, no. 5, p. 70. Kennedy, G.L., Muhs, D.R., Wehmiller, J.F., and Rockwell, T.K., 1993, Marginal eastern Pacific record of late Pleistocene global climate change: The nearshore marine benthos: SEPM Abstracts With Programs, 1993 Annual Meeting, Penn State University, p. 44. Stephenson, W.J., Rockwell, T.K., Odum, J.K., Shedlock, K.M., and Okaya, D.A., 1993, A high-resolution seismic reflection and geomorphic study of the onshore Palos Verdes fault zone, California: Geological Society of America Abstracts With Programs, v. 25, no. 6, p. A-133. Rockwell, T.K., Schwartz, D.P., Sieh, K.E., Rubin, C., Lindvall, S., Herzberg, M., Padgett, D., and Fumal, T., 1993, Initial paleoseismic studies following the Landers earthquake: Implications for fault segmentation and earthquake clustering: EOS AGU Fall Supplement, p. 67. Herzberg, M. and Rockwell, T.K., 1993, Timing of past earthquakes on the northern Johnson Valley fault and their relationship to the 1992 rupture: EOS AGU Fall Supplement, p. 612. Padgett, D. and Rockwell, T.K., 1993, Timing of Past Earthquakes and Triggered Slip Events on the Lenwood Fault at Soggy Lake Playa Relative to 1992 Landers Triggered Slip: EOS AGU Fall Supplement, p. 68. Bergmann, M. and Rockwell, T.K., 1993, Preliminary assessment of the late Holocene slip rate for the Wildomar fault in Murrieta, California: Association of Engineering Geologists 36th Annual Program and Abstracts, p. 43. Dolan, J.F., Sieh, K., Guptil, P., Miller, G., Rockwell, T.K., and Smirnoff, T., 1993, Structural geology, fault kenematics, and preliminary paleoseismological results from the Hollywood fault: New data from continuously cored borings and geotechnical trenches, Hollywood, California: EOS AGU Fall Supplement, p. 427. Hirabayashi, C. K., Rockwell, T.K., Wesnousky, S, 1993, Clustering of seismic activity on the San Miguel fault, Baja California, Mexico, EOS AGU Fall Supplement, p. 575. Rockwell, T.K., Gath, E.M., and Gonzalez, T., 1992, Sense and rate of slip on the Whittier fault zone, eastern Los Angeles Basin, California: Proceedings of the 35th Annual Meeting, Association of Engineering Geologists, p. 679. Gonzalez, T, Gath, E.M., and Rockwell, T.K., 1992, Exploratory excavations for fault investigations: Logging techniques: Proceedings of the 35th Annual Meeting, Association of Engineering Geologists, p.
Rockwell, Thomas K., Muhs, Daniel R, and Kennedy, George L., 1992, Late Quaternary paleo-sea level estimates for the west coast of North America based on coral-dated marine terraces: in International Geological Correlation Programme 274 Symposium on Diversity in Coastal Evolution in the Quaternary, Programme and Abstracts, p. 47. Gonzalez-Garcia, J. Javier, Suarez-Vidal, Francisco, Quinones-Rodriguez, J., Rockwell, Thomas, and Thomas, Andy, 1991, The Imperial Valley fault in Mexicali and its recent activity near Ejido Saltillo, Baja California, Mexico: Geological Society of America Abstracts With Programs, v. 23, No. 5, p. A84. Goodmacher, Jonathan and Rockwell, Thomas K., 1990, Changes in geomorphic surface roughness over time and its inferred affects on the chemistry and development of a soil chronosequence, Coyote Mountains, southern California: Geological Society of America Abstracts With Programs, v. 22, n. 3, p. 26. Rockwell, Thomas K. and Lindvall, Scott, 1990, Holocene activity of the Rose Canyon fault in San Diego, California, based on trench exposures and tectonic geomorphology: Geological Society of America Abstracts With Programs, v. 22, n. 3, p. 78. Blom, R., Crippen, R., and Rockwell, T.K., 1990, Use of SPOT and LANDSAT thematic mapper images for detection and study of northeast trending faults between the Elsinore and San Jacinto faults, southern California: Geological Society of America Abstracts With Programs, v. 22, n.3, p. 9. Bergmann, M.C. and Rockwell, T.K., 1989, The Murrieta Creek fault, a new branch of the Elsinore fault, Rancho California area, Riverside County, California: Geological Society of America, Abstracts With Programs, v. 21, no. 5, p. 57. Lindvall, Scott C. and Rockwell, Thomas K., 1989, Slip distribution of pre-historical earthquakes on the Superstition Hills fault, San Jacinto fault zone, southern California, based on offset geomorphic features: Geological Society of America, Abstracts With Programs, v. 21, no. 5, p. 107. Rockwell, Thomas K., 1989, Behavior of individual fault segments along the Elsinore-Laguna Salada fault zone, southern California and northern Baja California: Implications for the characteristic earthquake model: Geological Society of America, Abstracts With Programs, v. 21, no. 5, p. 135. Klinger, Ralph E. and Rockwell, Thomas K., 1989, Recurrent late Holocene faulting at Hog Lake in the Anza seismic gap, San Jacinto fault zone, southern California: Geological Society of America, Abstracts With Programs, v. 21, no. 5, p. 102. Rockwell, Thomas K., Thomas, Andy P., Stinson, Amy L., and Crisman, R., 1989, Active northeast trending left-lateral faults between the Elsinore and San Jacinto fault zones, southern California: Geological Society of America, Abstracts With Programs, v. 21, no. 5, p. 135. Rockwell, T.K., Gath, E.M. and Cook, K.D., 1988, Sense and rate of slip on the Whittier fault zone near Yorba Linda, California: Geological Society of America Abstracts With Programs, v. 20, no. 3, p. 224. Muhs, D.R., Kennedy, G.L. and Rockwell, T.K., 1988, Uranium-series ages of corals from marine terraces, Pacific coast of North America: Implications for the timing and magnitude of late Pleistocene sea-level changes: American Quaternary Association Abstracts. Lampe, C.M., Walawender, M.J. and Rockwell, T.K., 1988, Contacts between La Posta-type plutonic rocks and stromatic migmatites offset across the Elsinore fault, southern California: Geological Society of America Abstracts With Programs, v. 20, no. 3, p. 174-175. McElwain, R.S. and Rockwell, T.K., 1988, Complex structural and stratigraphic relations within the Glen Ivy North strand of the Elsinore fault, southern California, as exposed in three-dimensional trench exposures: Geological Society of America Abstracts With Programs, v. 20, no. 3, p. 212. Rockwell, T.K. and Gamble, L.H., 1988, Reconstruction of original topography using soil geomorphology at SBa-46: Society for American Archeology Program and Abstracts, p. 135. Rockwell, T.K., Bickner, F. Vaughan, P. and Hanson, K., l987, Application of Soil Geomorphology to dating and correlating marine terrace deposits across the San Simeon fault zone, central California: Geological Society of America Abstracts with Programs, v. 19, no. 6, p. 444. Merifield, P.M., Rockwell, T.K., and Loughman, CC., l987, Slip rate determinations on the San Jacinto fault zone in the Anza Seismic Gap, Southern California: Geological Society of America Abstracts with Programs, v. 19, no. 6, p. 431. Brake, J.F. and Rockwell, T.K., l987, Magnitude of slip from historical and prehistorical earthquakes on the Elsinore fault, Glen Ivy Marsh, southern California: Geological Society of America Abstracts with Programs, v. 19, no. 6. Keller, E.A., Zepeda, R.L., Seaver, D.B., Rockwell, T.K., Laduzinsky, D.M., and Johnson, D.L., l987, Active fold-thrust belts and the western Transverse Ranges, CA: Geological Society of America Abstracts with Programs, v. 19, no. 6, p. 394. Powell, John R., Gardner, David A., Yeats, Robert S., and Rockwell, Thomas K.,1987, Evidence of late Quaternary activity, Oak Ridge fault, Ventura, California: Assoc. of Engineering Geologists 30th Annual Meeting Abstracts With Programs. Kennedy, G.L., Muhs, D.R., Wehmiller, J.F., and Rockwell, T.K., 1987, Comparative zoogeography of early and late Stage 5 terrace faunas, southern California and northern Baja California, Mexico: International Union for Quaternary Research, 12th International Congress, Programme With Abstracts, p. 200. Hatch, M.E. and Rockwell, T.K., l986, Neotectonics of the Agua Blanca fault, Agua Blanca Valley, Northern Baja California, Mexico: Geological Society of America, Abstracts with Programs, v. 18, no. 2, p. 114. Rockwell, T.K., Merifield, P.M. and Loughman, C.C., l986, Holocene activity of the San Jacinto fault in the Anza seismic gap, southern California: Geological Society of America, Abstracts with Programs, v. 18, no. 2, p. 177. Hilinski, T.E. and Rockwell, T.K., l986, Structure and Quaternary faulting about the eastern end of the Agua Blanca fault, northern Baja California, Mexico: Geological Society of America, Abstracts with Programs, v. 18, no. 2, p. 117. Isaac, S., Rockwell, T.K., and Gastil, G., l986, Plio-Pleistocene detachment faulting, Yuha desert region, western Salton Trough, northern Baja California: Geological Society of America, Abstracts with programs, v. 18, no. 2, p. 120. Zepeda, R.L., Keller, E.A., and Rockwell, T.K., l986, Rates of active tectonics at Wheeler Ridge, southern San Joaquin Valley, California: Geological Society of America, Abstracts with Programs, v. 18, no.2, p. 202. Seaver, D.B., Zepeda, R.L., Keller, E.A., Laduzinsky, D.M., Johnson, D.L., and Rockwell, T.K., l986, Active folding: Southern San Joaquin Valley, CA: EOS, v. 67, n. 44, p. 1223. Kennedy, G.L., Rockwell, T.K., Wehmiller, J.F., and Suarez, F., l986, Pleistocene molluscan paleogeography and terrace correlation, northwestern Baja California, Mexico: Geological Society of America, Abstracts with Programs, v. 18, no. 2, p. 124. Rockwell, T.K., Lamar, D.L., McElwain, R.S., and Millman, D.E., l985, Late Holocene recurrent faulting on the Glen Ivy North strand of the Elsinore fault, southern California: Geol. Soc. of Am., Abstracts with Programs, m. 17, no. 4., p. 404. Millman, D.E. and Rockwell, T.K., l985, Lateral offset of mid and late Quaternary deposits along the northern Elsinore fault, southern Californai: Geol. Soc. of Am., Abstracts with programs, v. 17, no.4, p. 370. Pinault, C.T. and Rockwell, T.K., l984, Rates and Sense of Holocene faulting on the southern Elsinore fault; Further constraints on the distribution of dextral shear between the Pacific and North American Plates: Geol. Soc. of Am., Abstracts with Programs, v. 16, no. 6, p. 624. Mueller, K.J. and Rockwell, T.K., l984, Basin development and fault kinematics of the Laguna Salada rhombochasm, Baja California Norte: Geol. Soc. of Am., Abstracts with Programs, v. 16, no. 6, p. 602. Mueller, K.J. and Rockwell, T.K., l984, Sense, Recency and rates of faulting along the Laguna Salada and Canon Rojo faults, NE Baja California: Geol. Soc. of Am., Abstracts with Programs, v. 16, no. 6, p. 602. Rockwell, T.K., l983, Soil geomorphology in the context of archeological sites in the Santa Barbara channel region: Southwestern Anthropological Association Programs and Abstracts, 1983 Annual Meeting, March 23-26, San Diego, California, p. 46. Rockwell, T.K. and Abbott, P.L., l983, Active deformation adjacent to the Rose Canyon Fault, San Diego County, California: Association of Engineering Geologists, Abstracts with Programs, v. 26, p. 92. Dembroff, G.R., Keller, E.A, Rockwell, T.K., and Johnson, D.L., l982, Uplift and deformation of late Pleistocene to Holocene river terraces over the Ventura Avenue anticline, Ventura, California, Geological Society of America, Abstracts with Programs, vol. 14, no. 4, p. 159. Rockwell, T.K., l982, Style, rates and recency of deformation along the San Cayetano fault, western Transverse Ranges, California, Geological Society of America Abstracts with Programs, vol. 14, no. 4, p. 228. Johnson, D.L. and Rockwell, T.K., l982, Soil geomorphology: Theory, concepts and principles with examples and applications on alluvial and marine terraces in coastal California, Geological Society of America, Abstracts with Programs, vol. 14, no. 4, p. 176. Johnson, D.L., Keller, E.A., Rockwell, T.K., and Dembroff, G.,R., l982, Geochronology and pedology of the Oak View terrace, western Transverse Ranges, California, Geological Society of America, Abstracts with Programs, no. 14, no. 4, p. 176. Rockwell, T.K., and Keller, E.A., l980, Alluvial fan deformation along the San Cayetano fault, western Transverse Ranges, California, Geological Society of America, Abstracts with Programs, Vol. 12, no. 3, pp. 150. Sylvester, A.G., Rockwell, T.K., and Riggs, N., l979, Slow nearfield vertical deformation across California faults, American Geophysical Union, Vol. 60, no. 18.